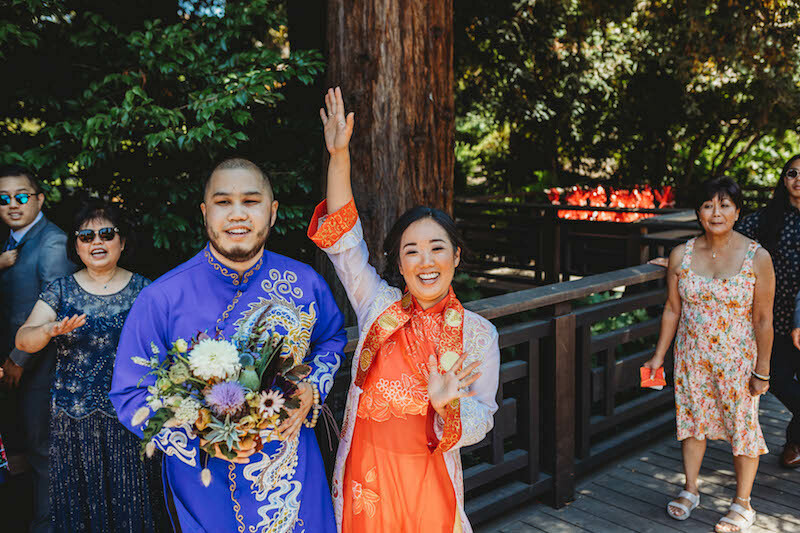 Sam & Nam - A Beautiful Berkeley Tea Ceremony in the Woods...with Boba! 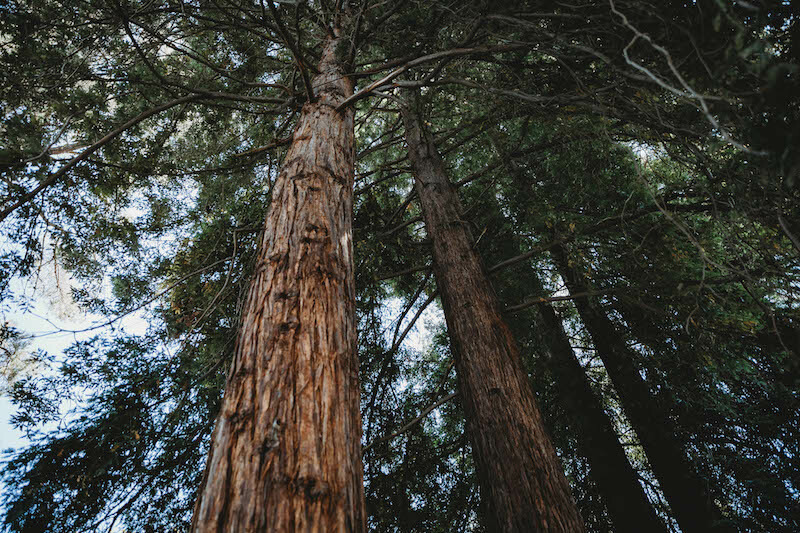 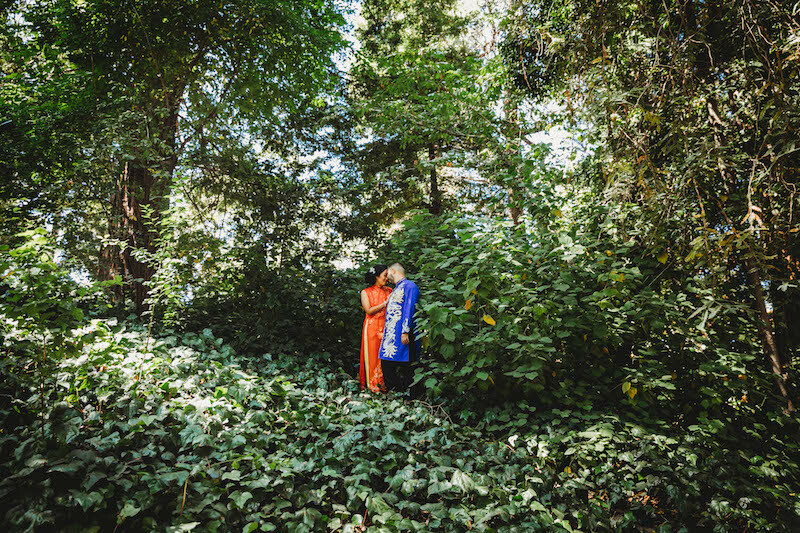 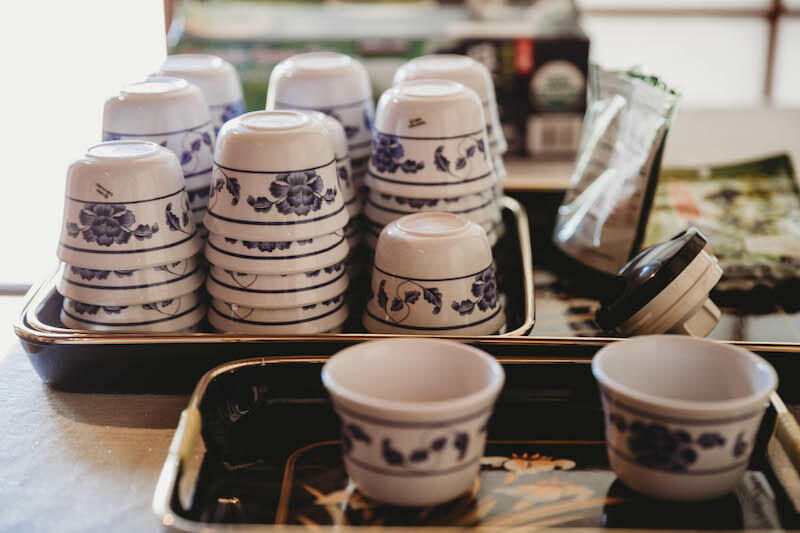 Sam & Nam – A Beautiful Berkeley Tea Ceremony in the Woods…with Boba! 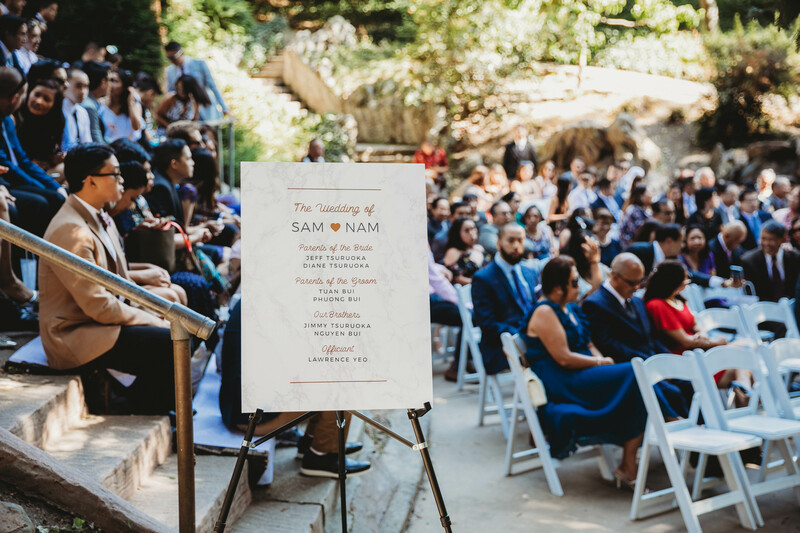 I met Sam & Nam on a camping trip that I was invited on my by cousin. 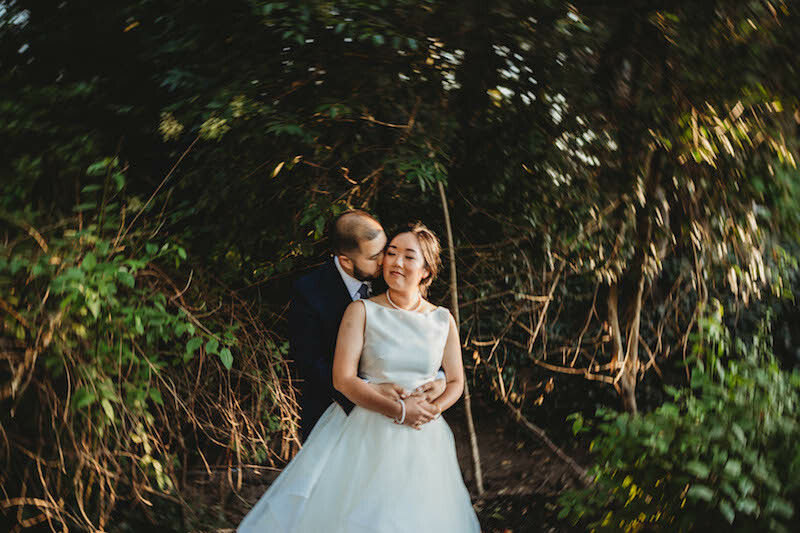 I loved them from the start. 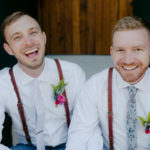 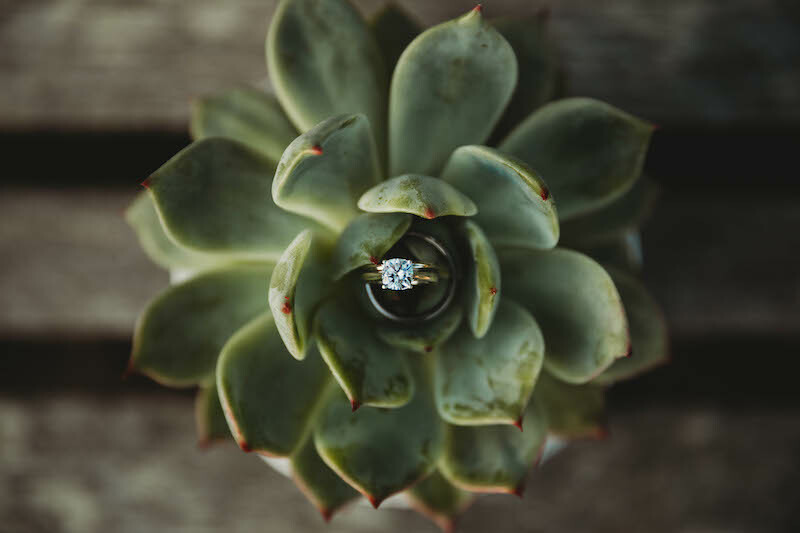  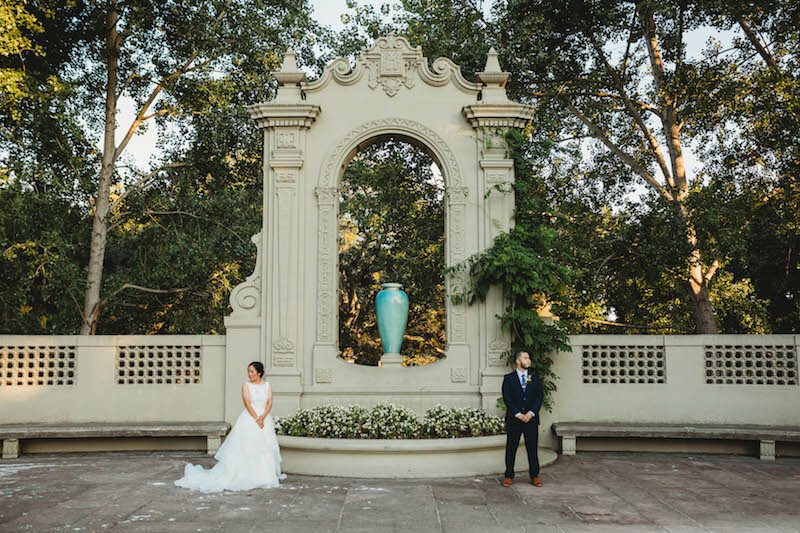 So when they reached out for help with planning their wedding, I was overjoyed to help! 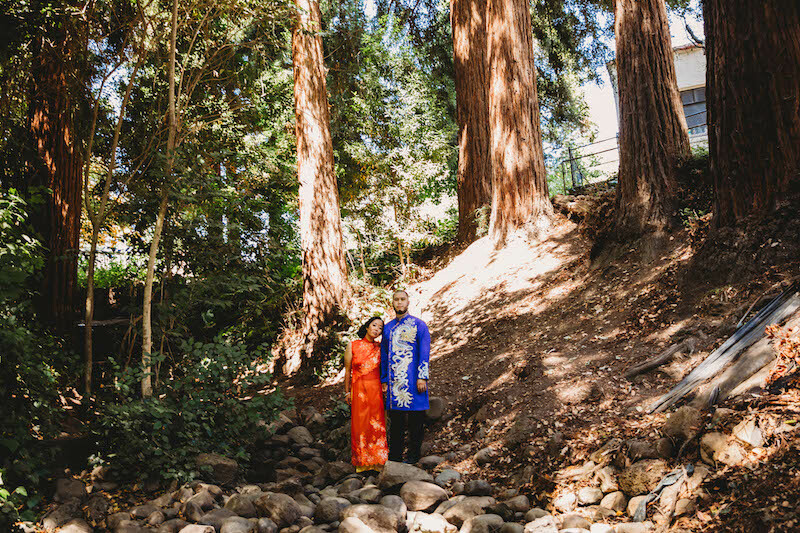 Their vision was simple: a beautiful day with family and friends, among the Berkeley trees, and honoring family. 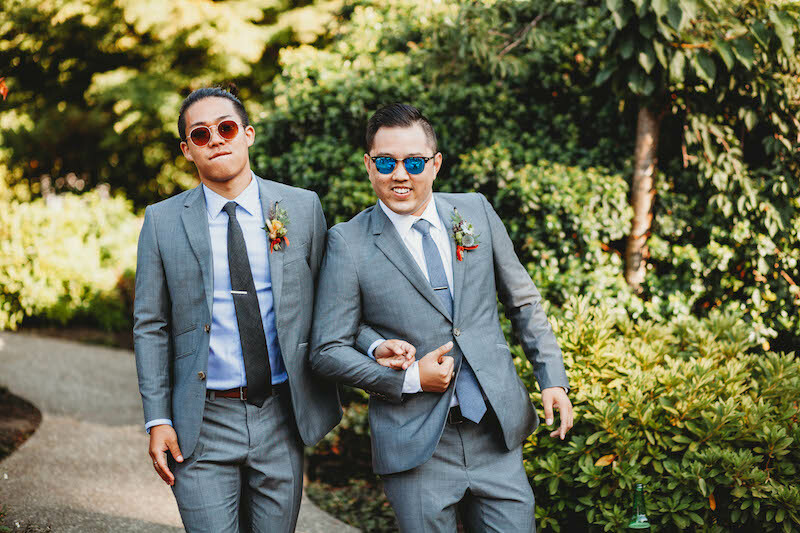 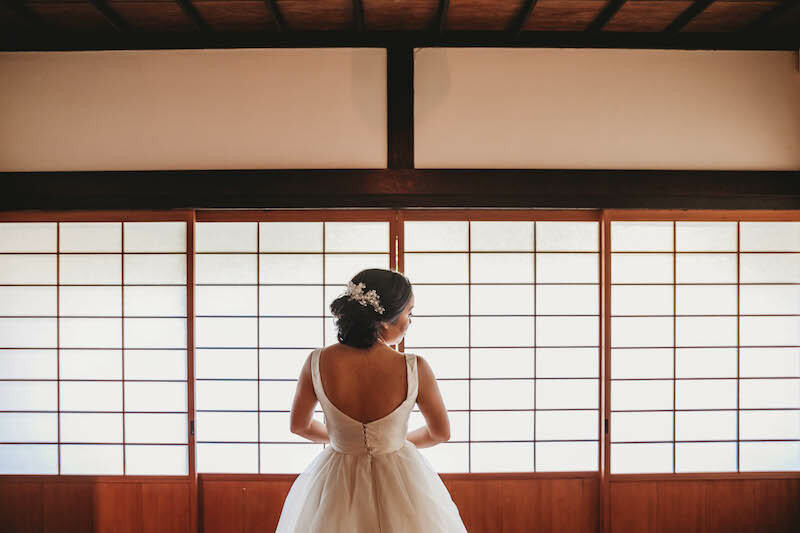 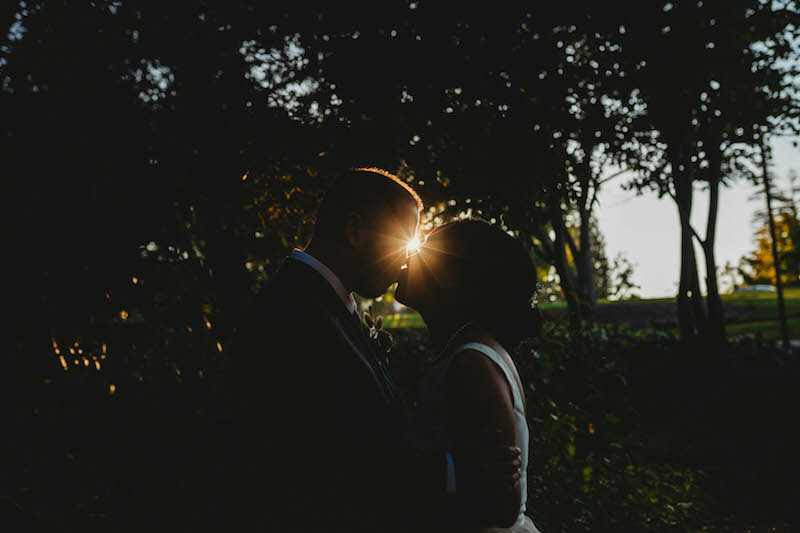 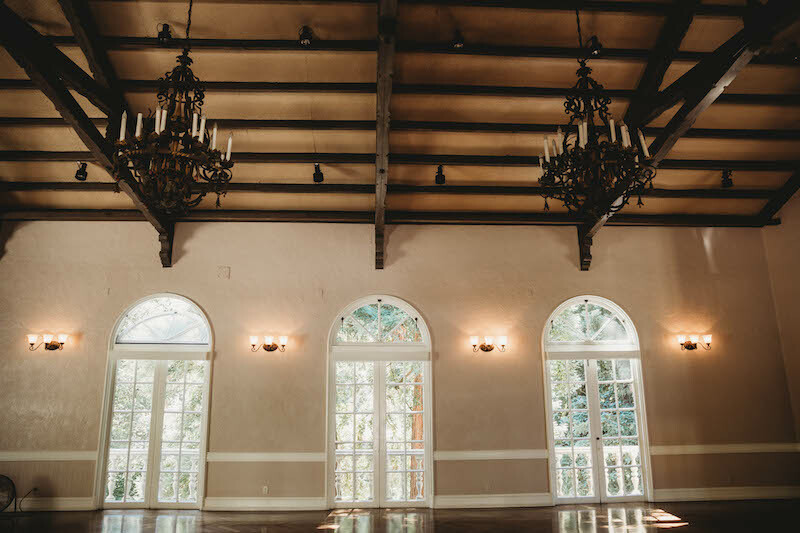 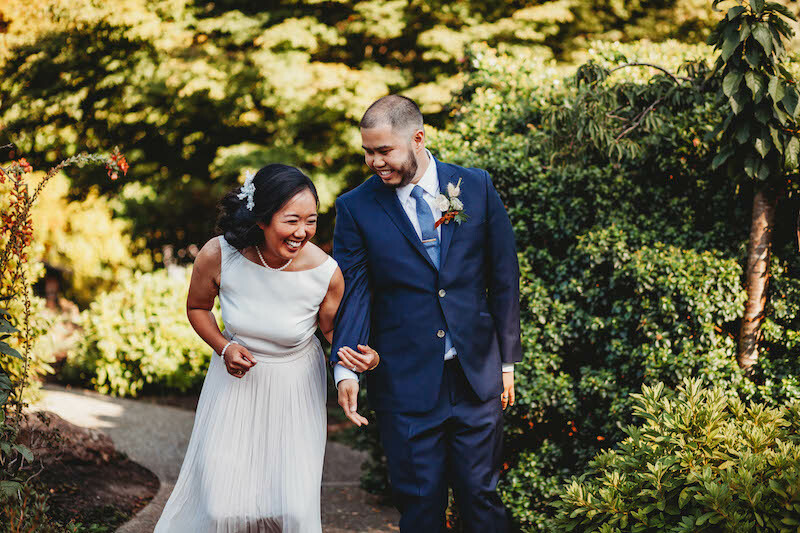 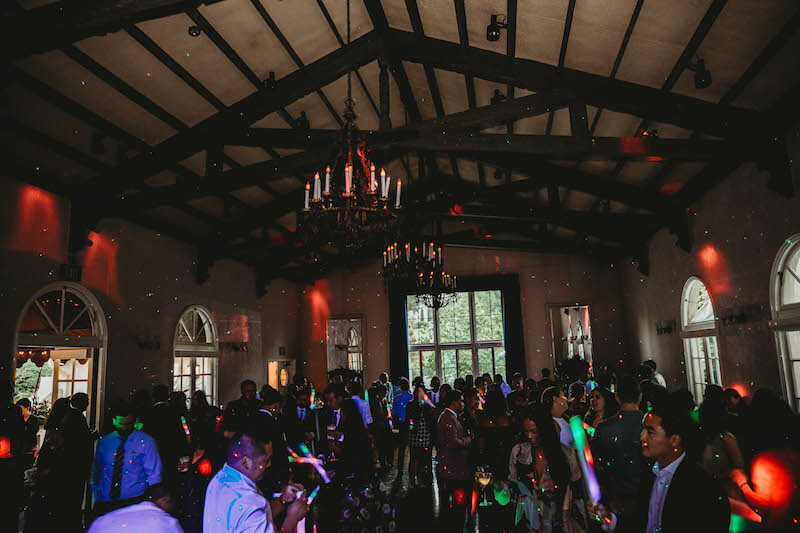 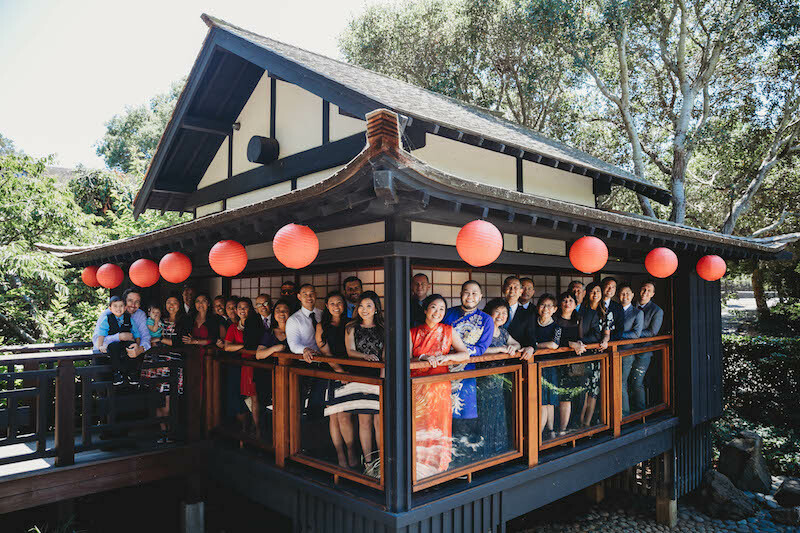 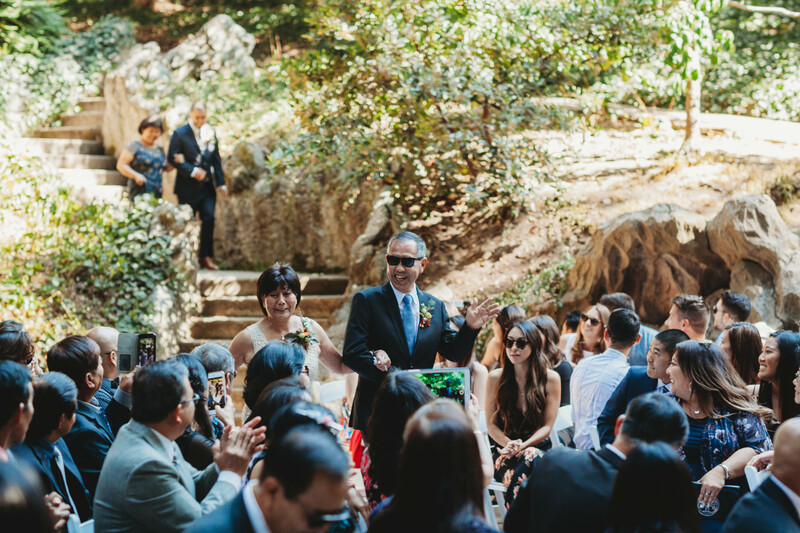 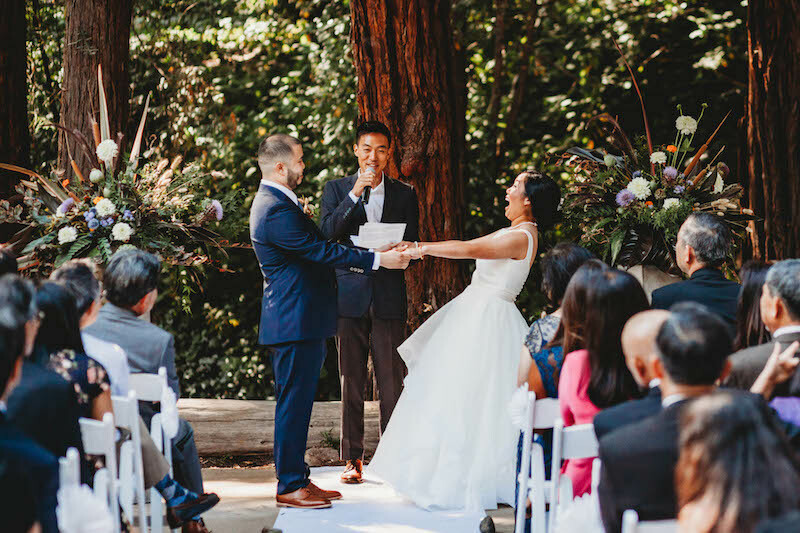 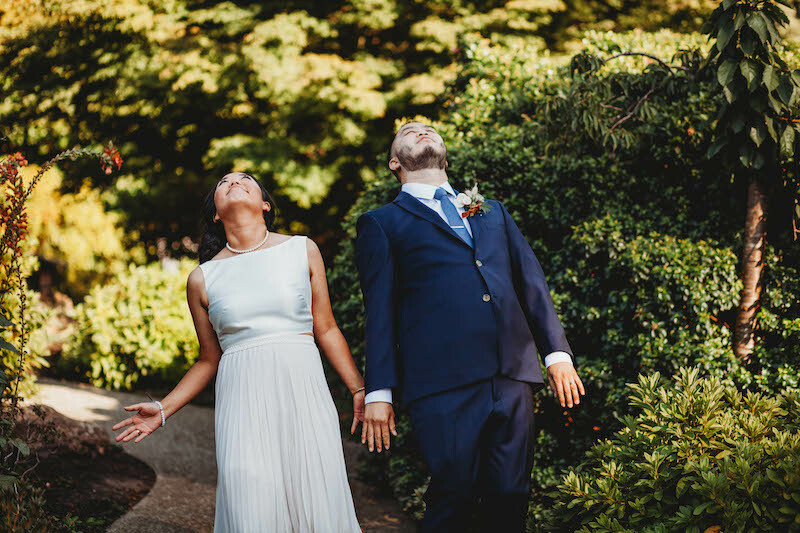 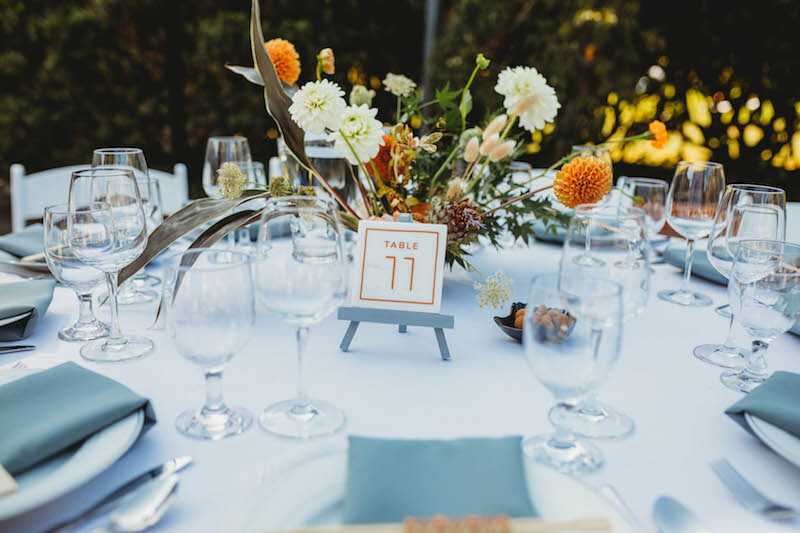 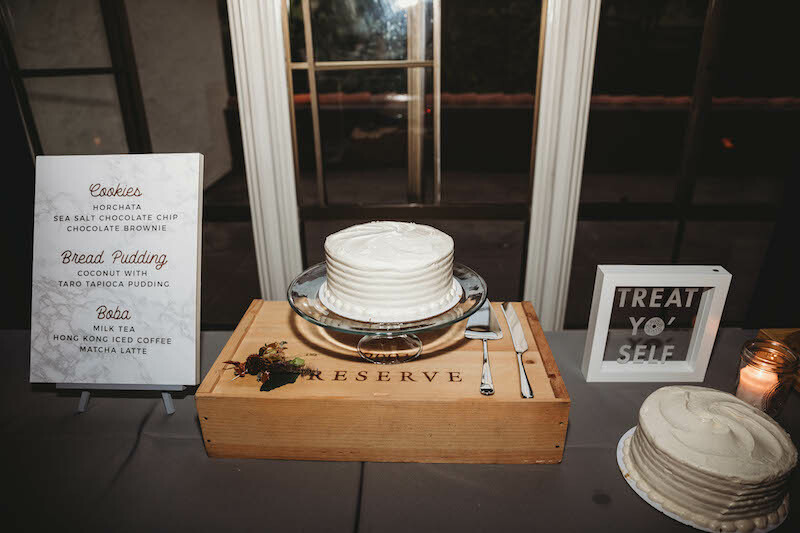 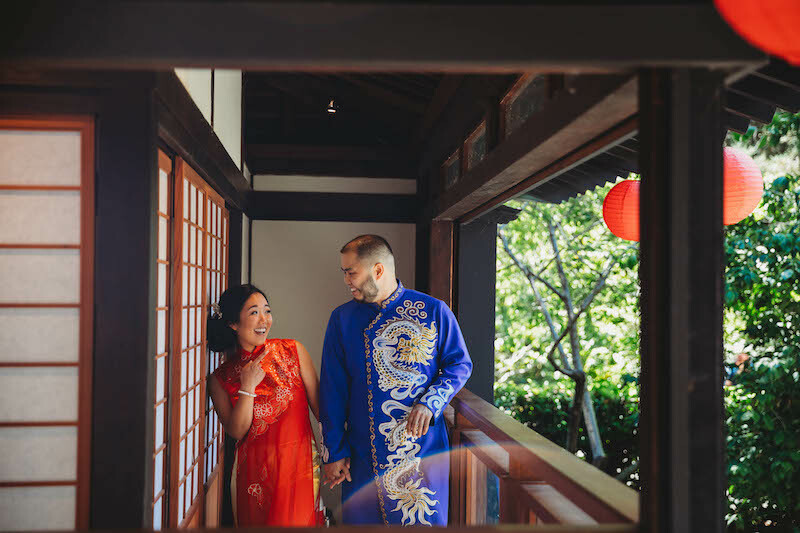 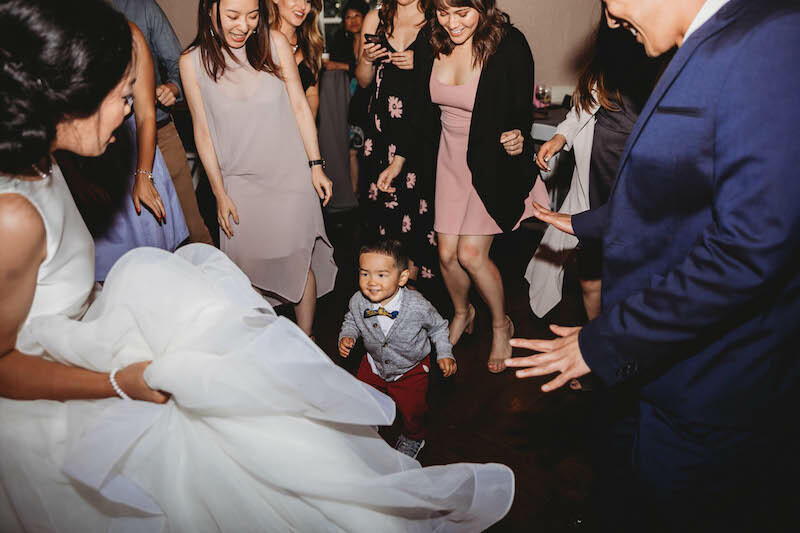 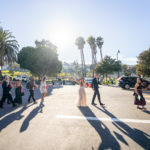 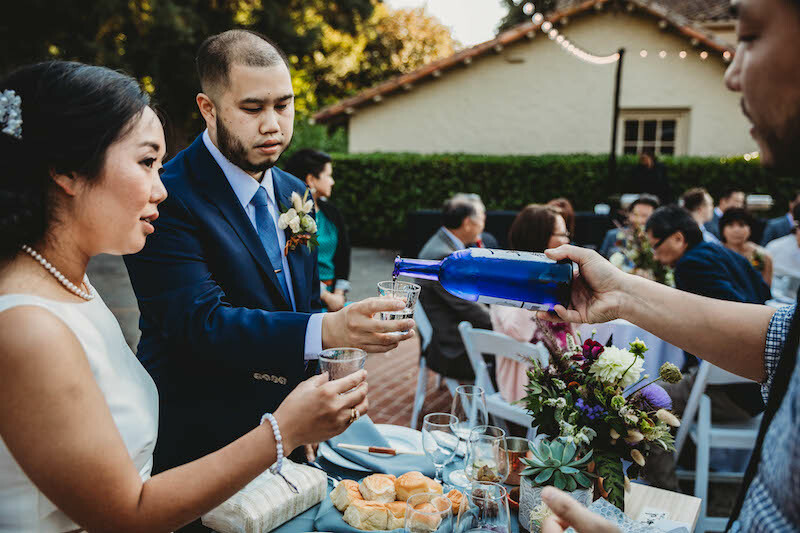 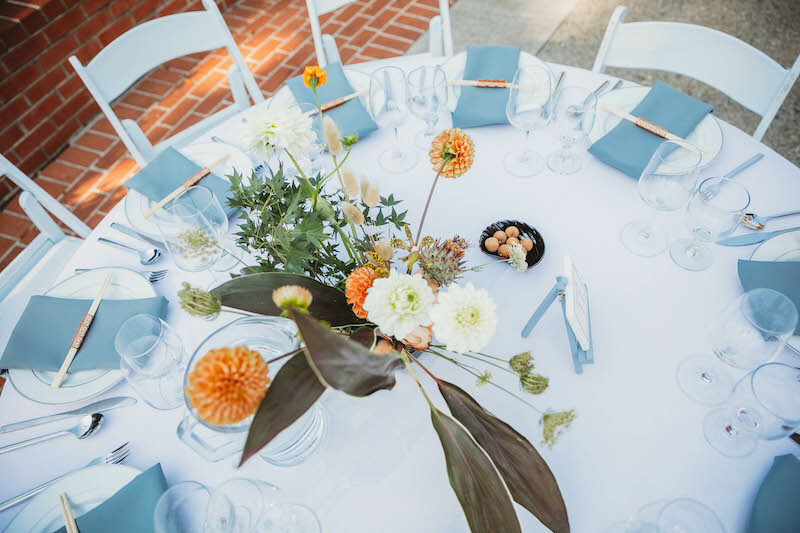 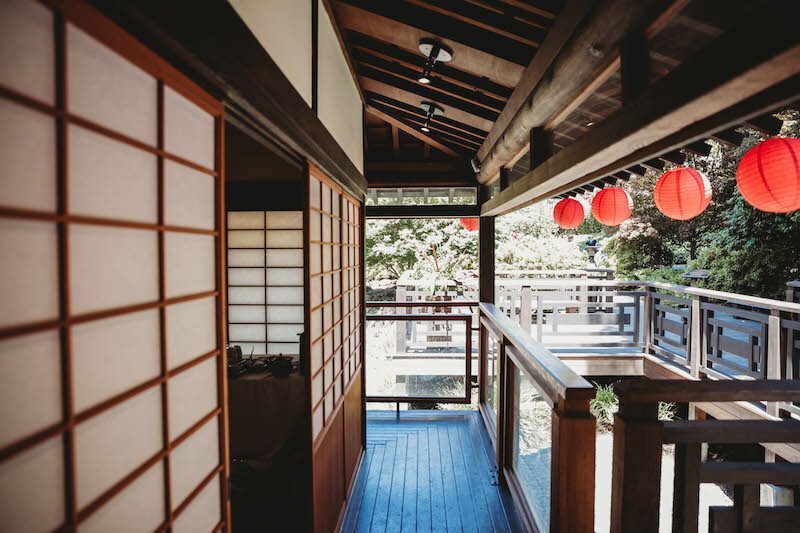 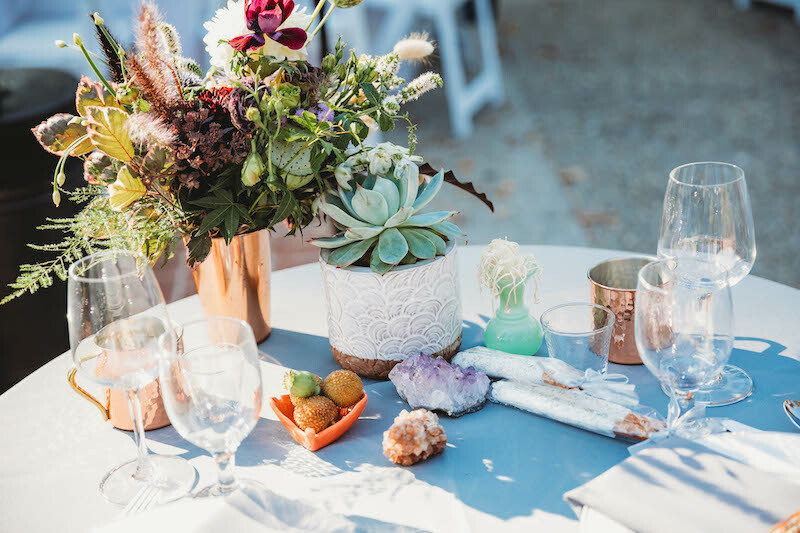 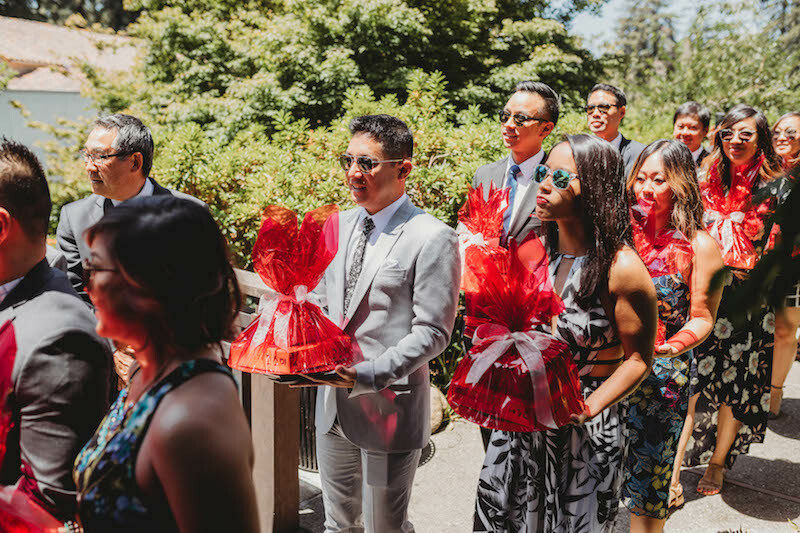 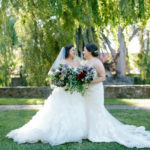 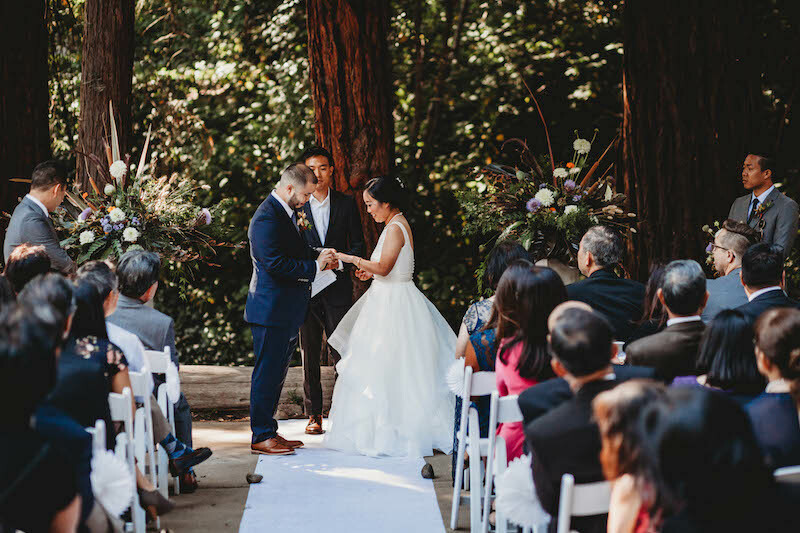 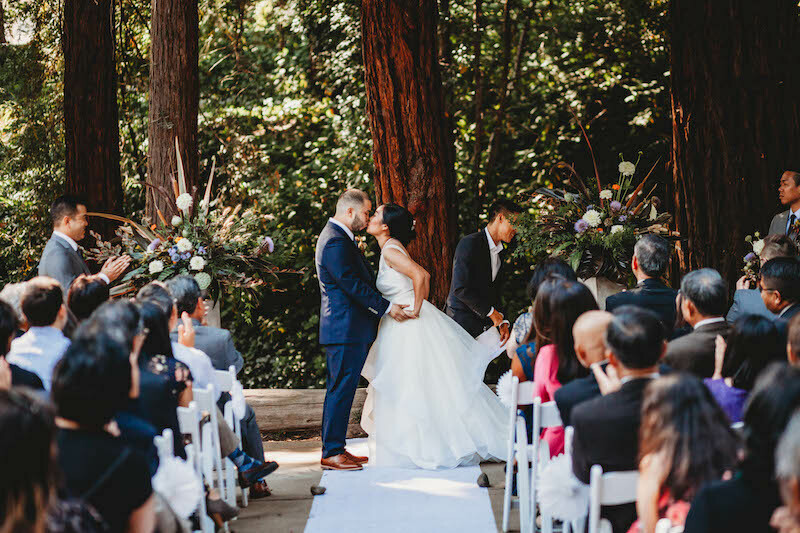 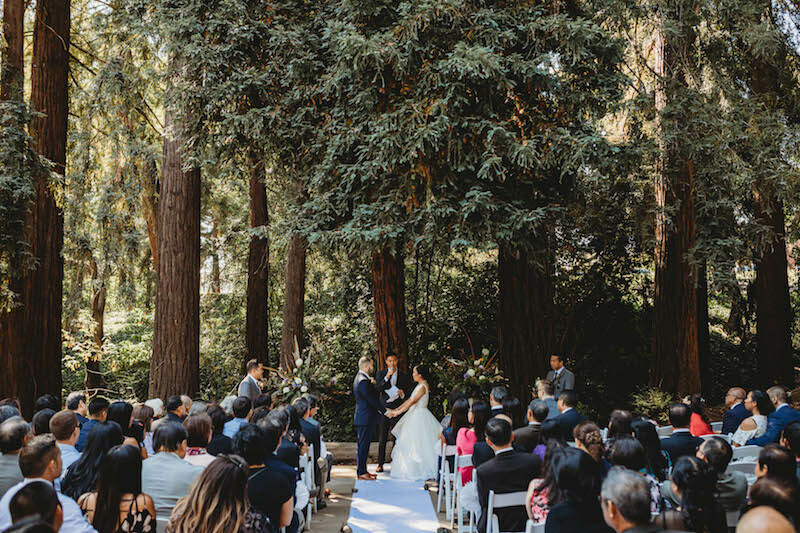 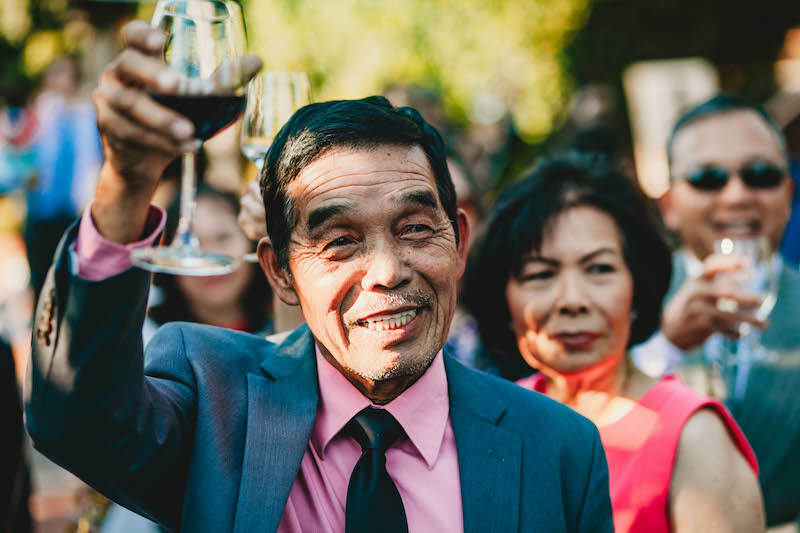 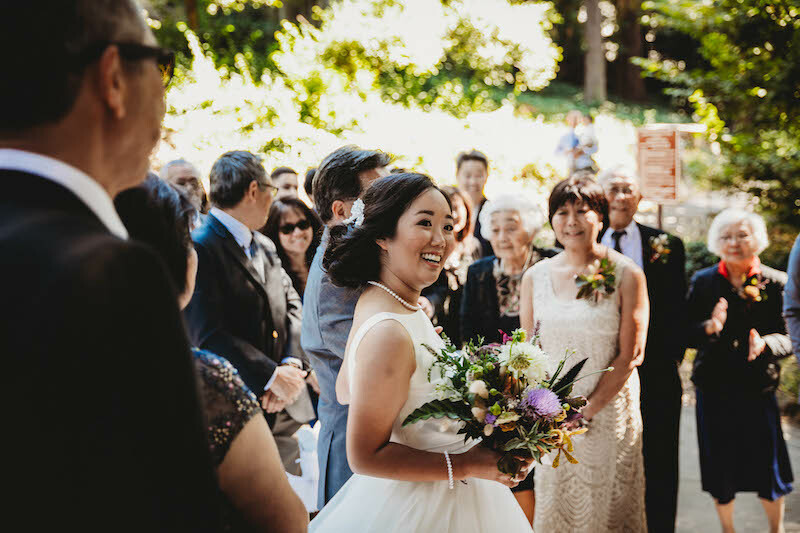 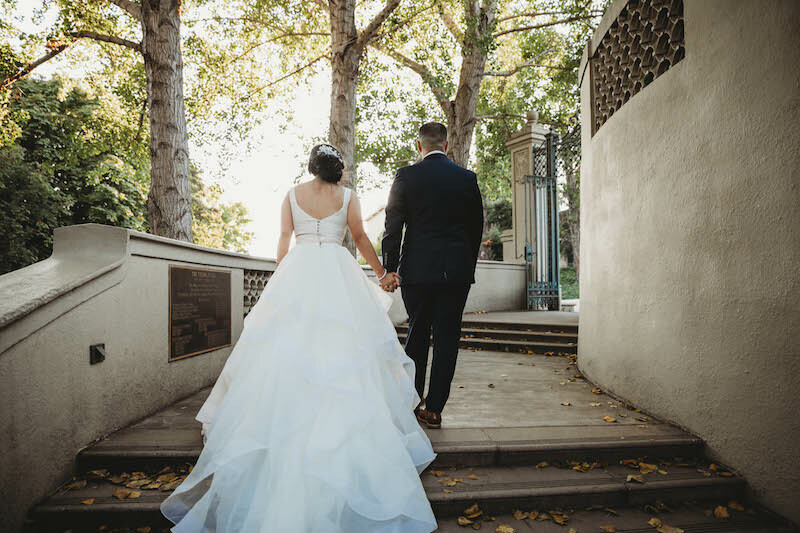 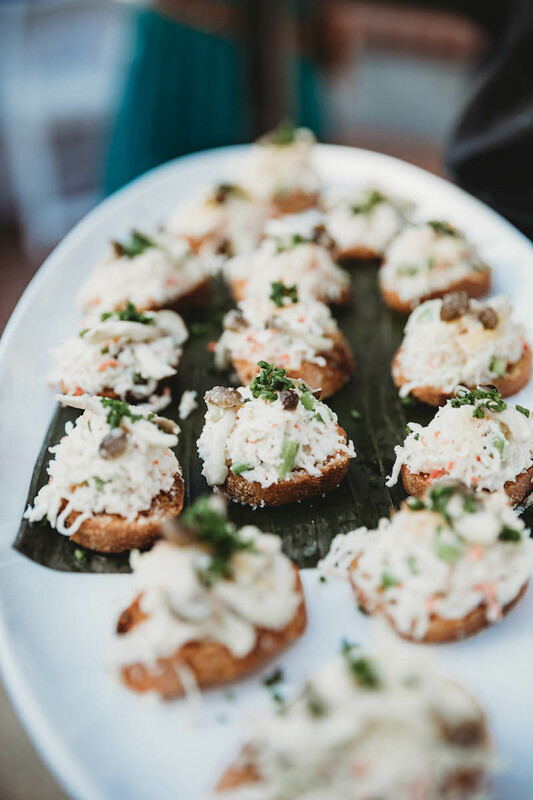 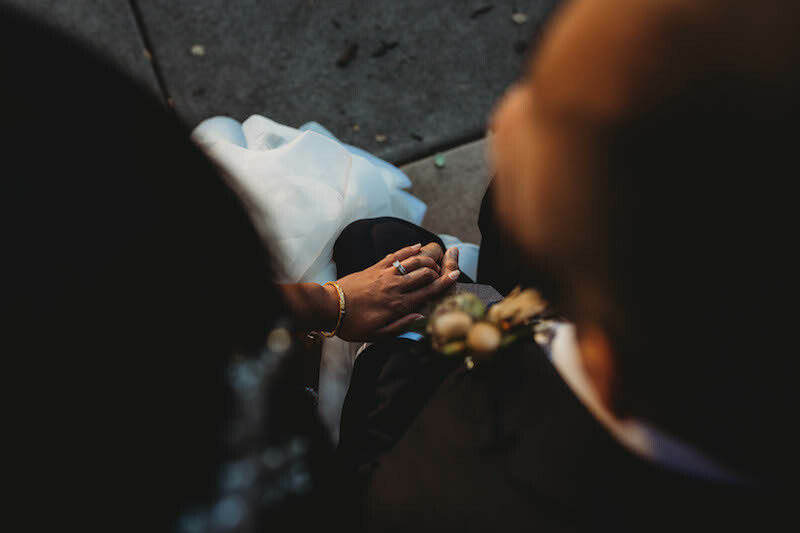 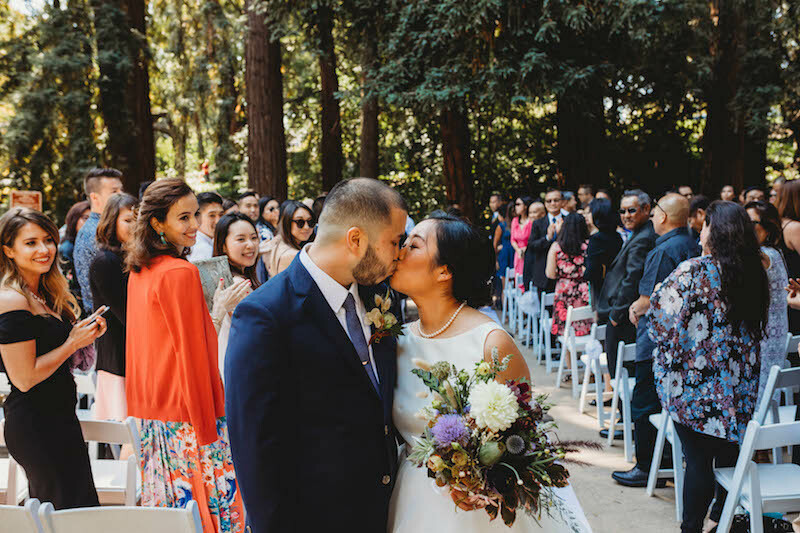 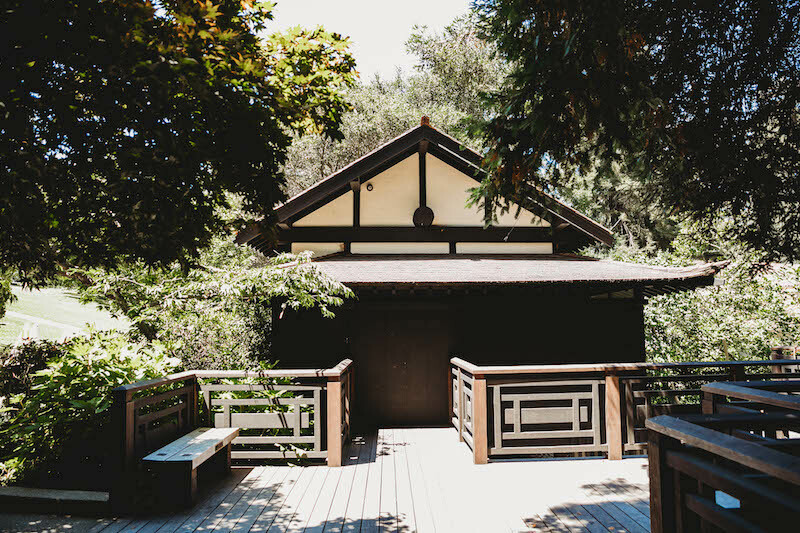 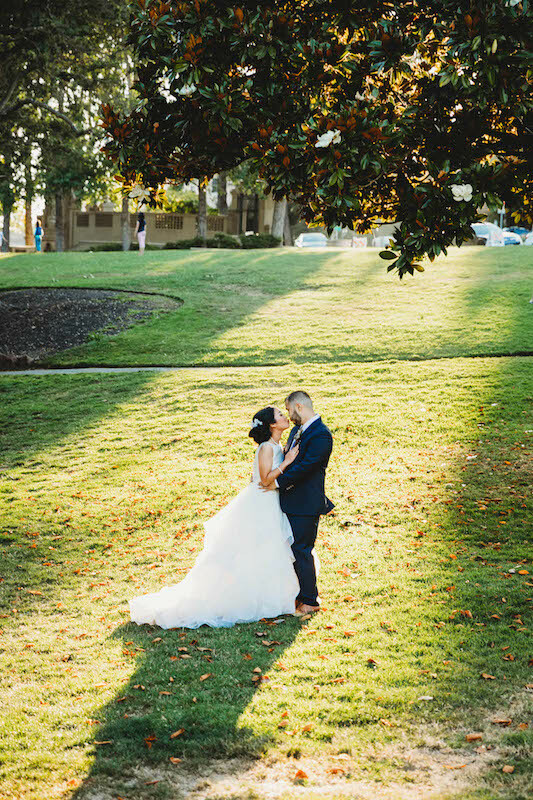 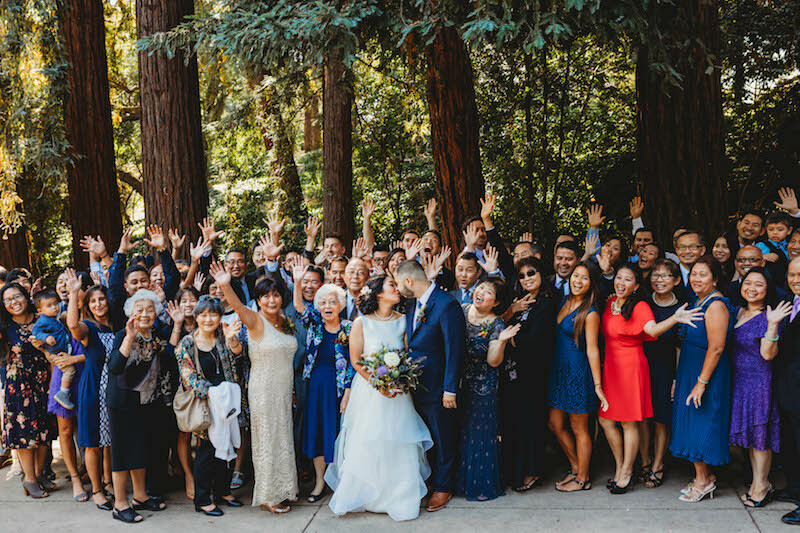 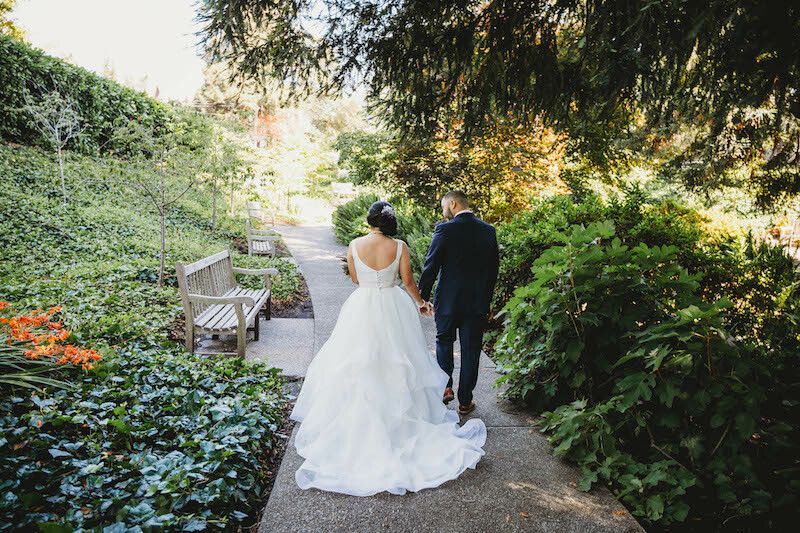 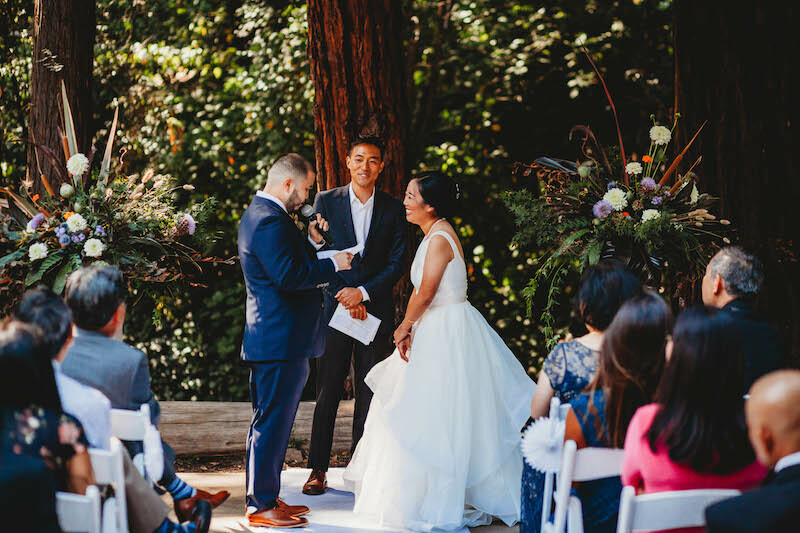 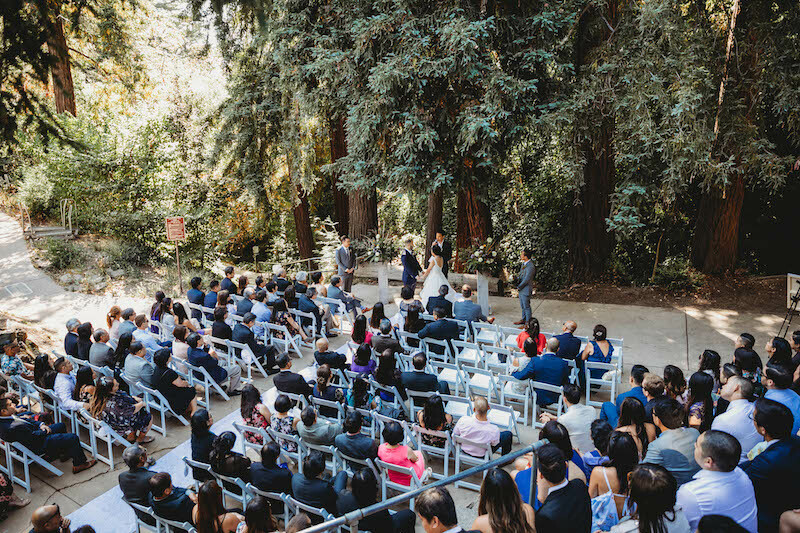 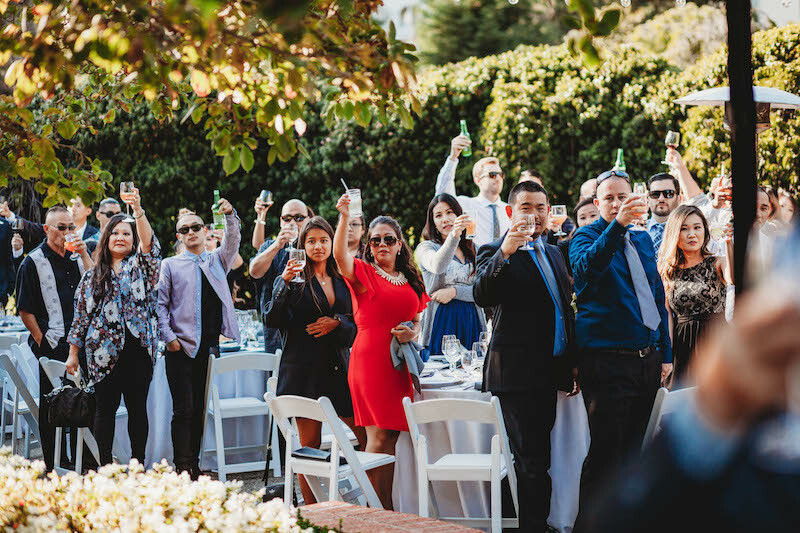 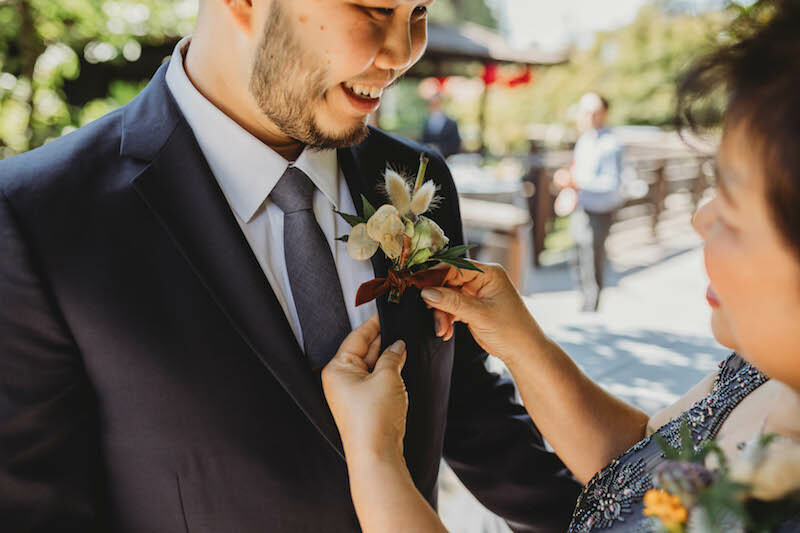 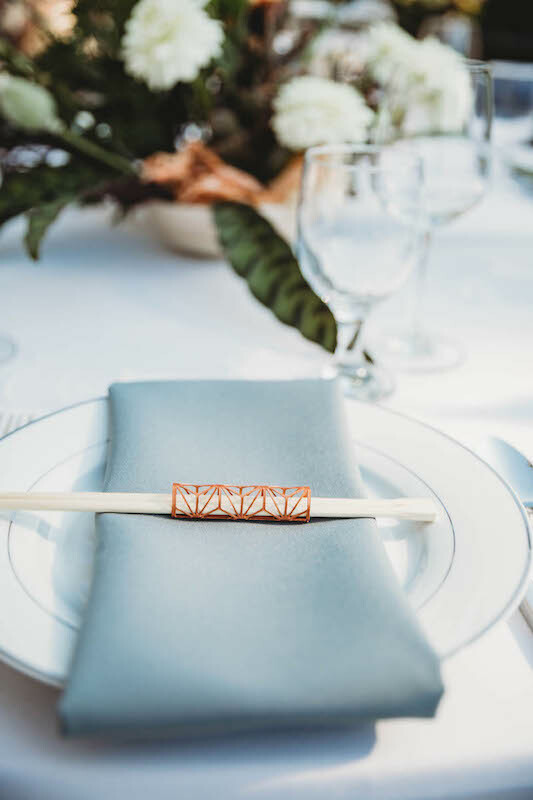 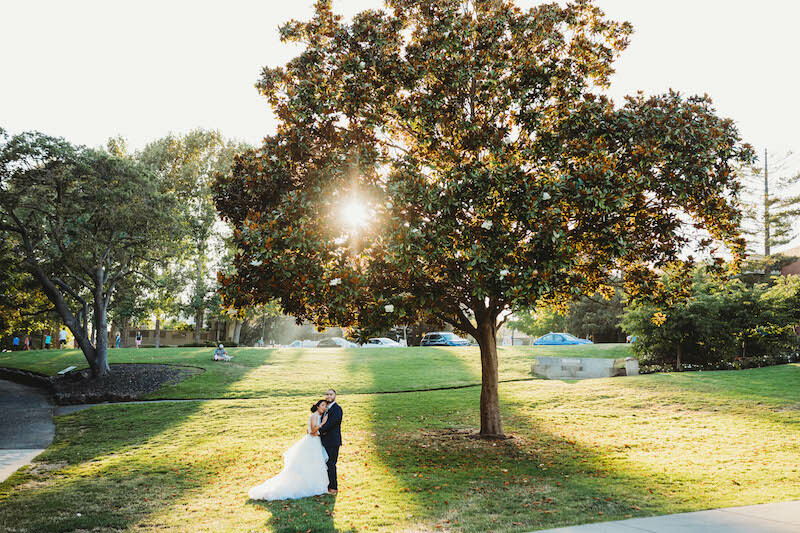 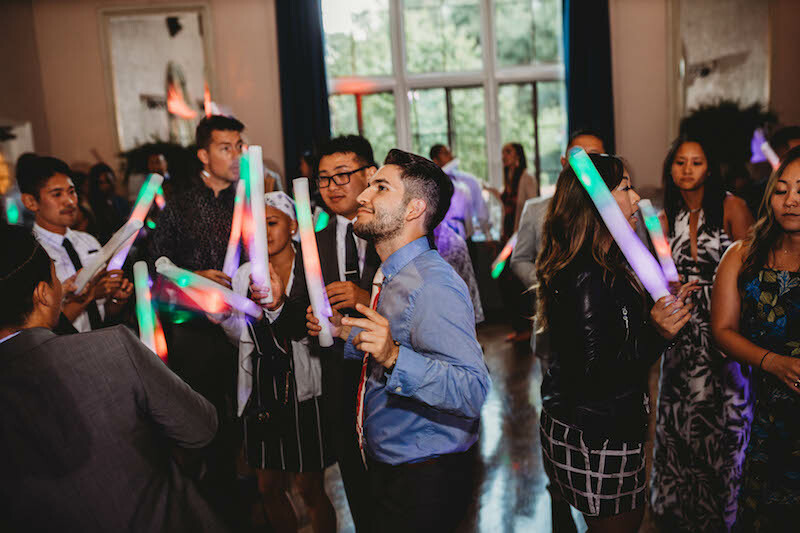 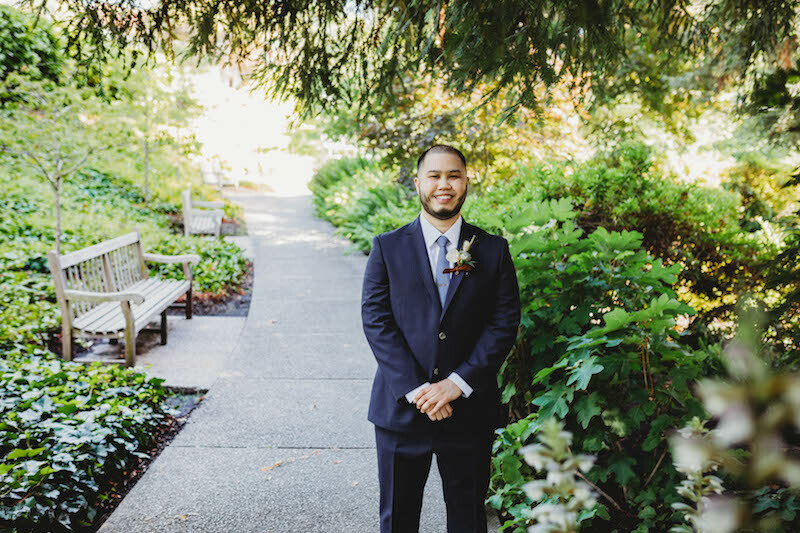 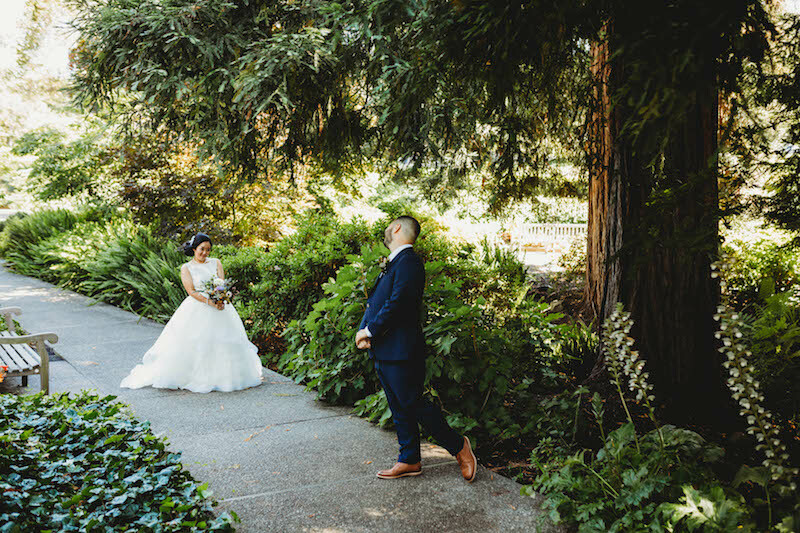 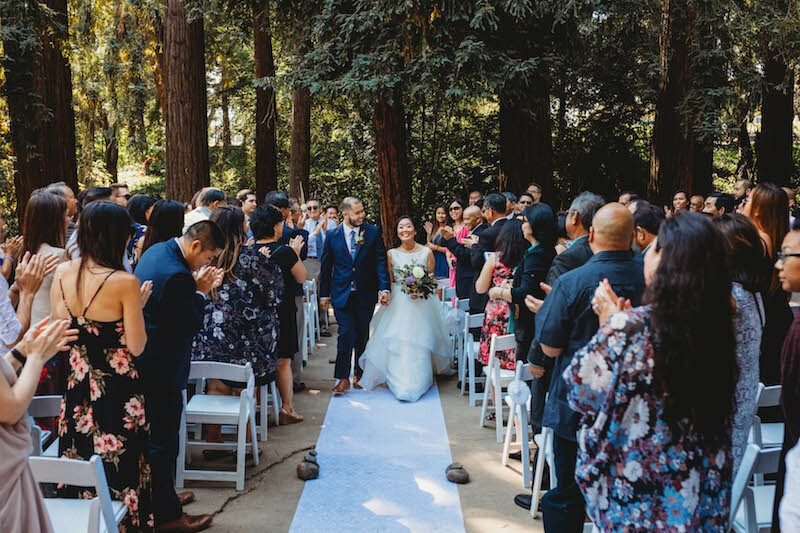 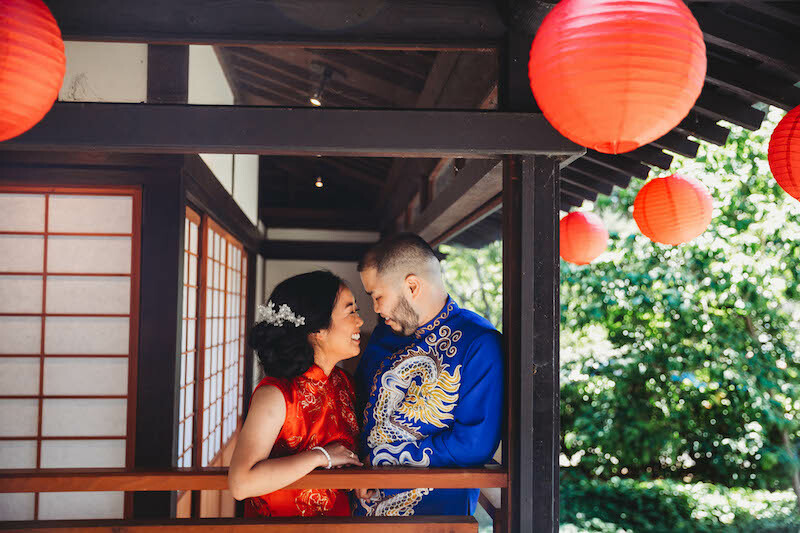 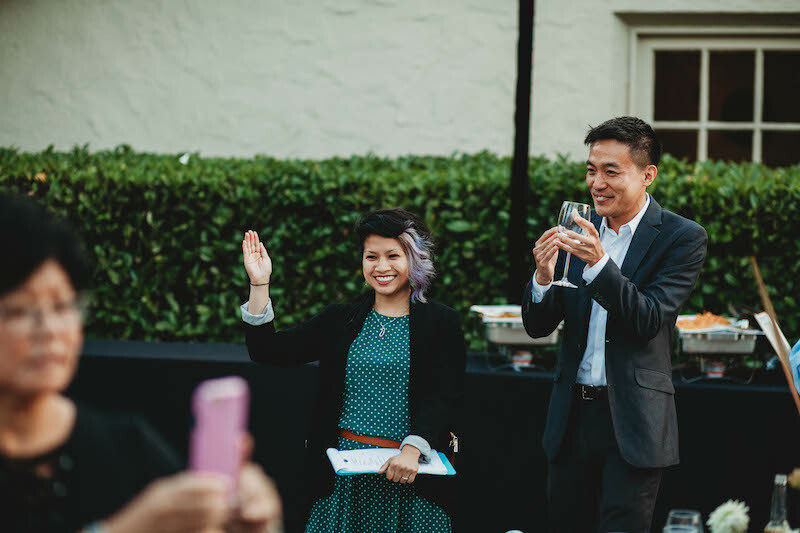 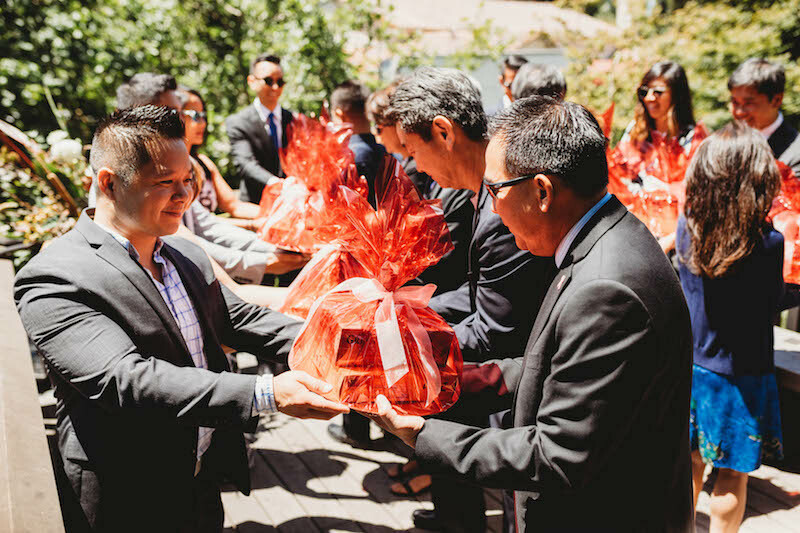 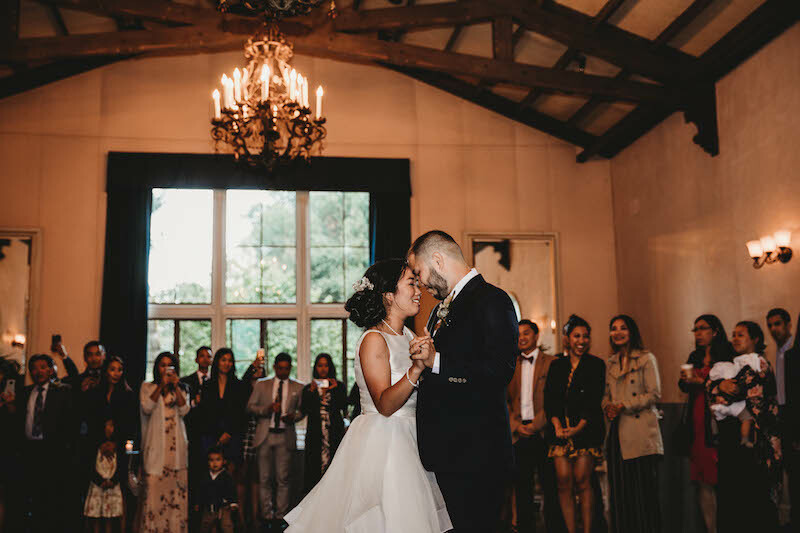 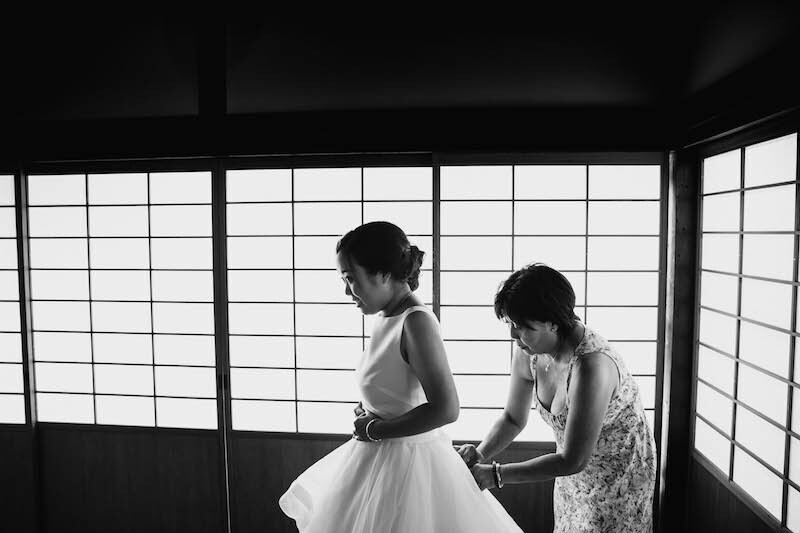 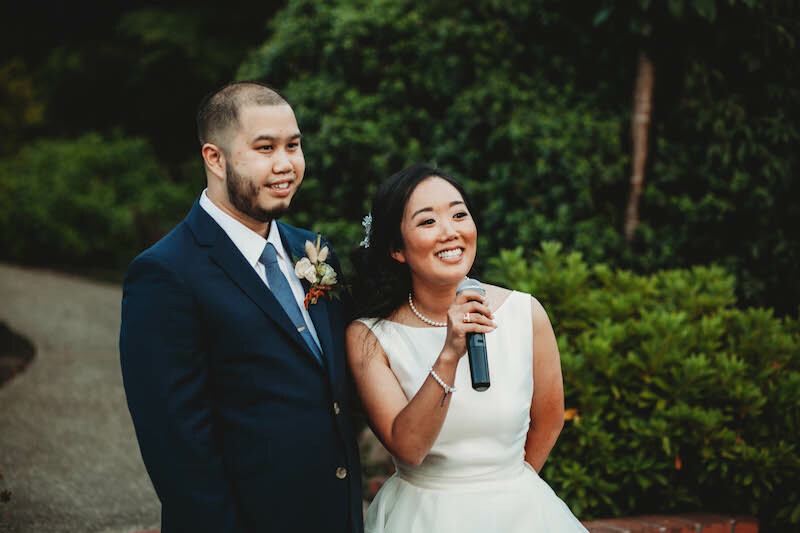 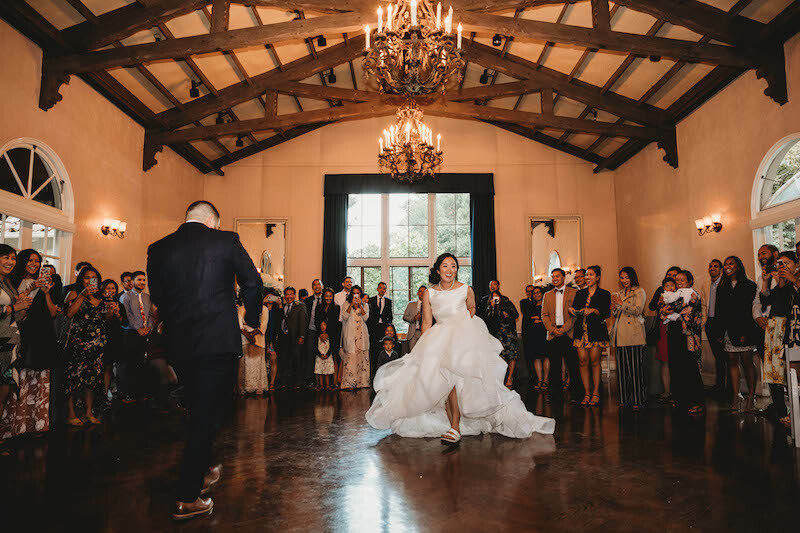 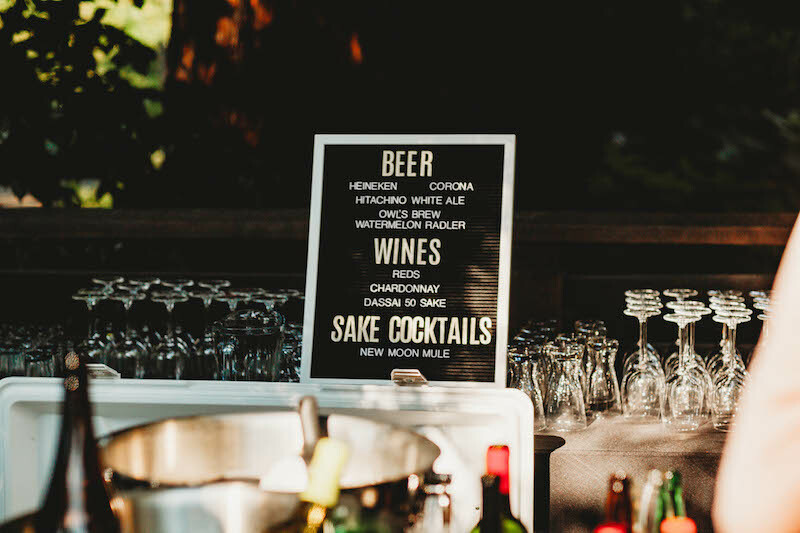 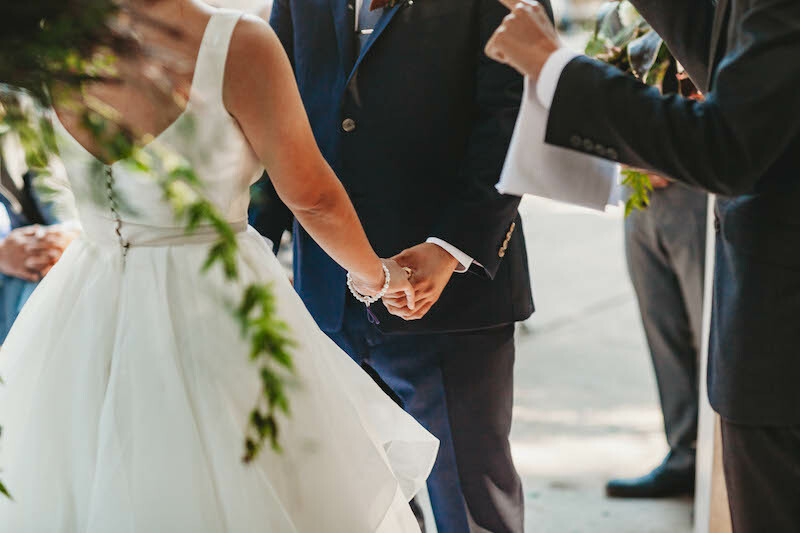 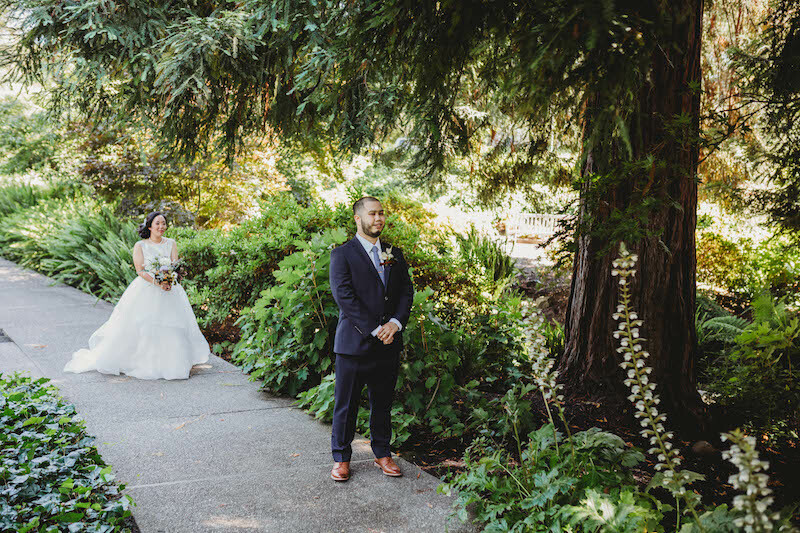 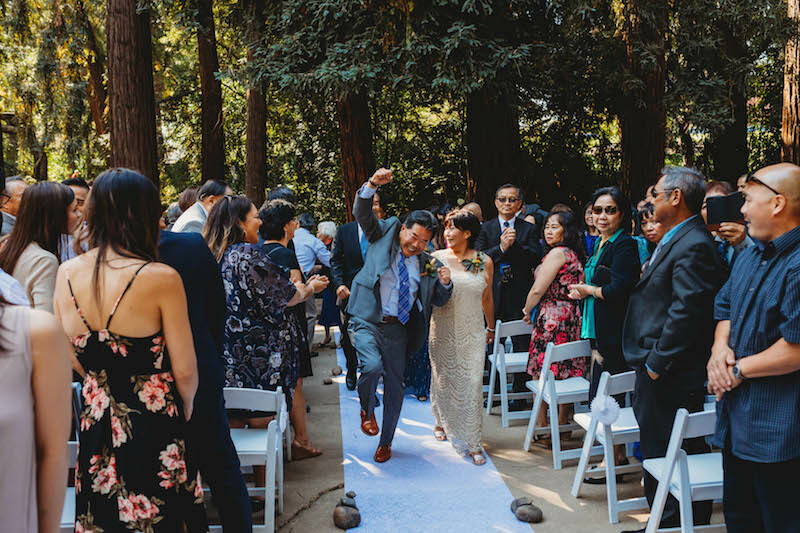 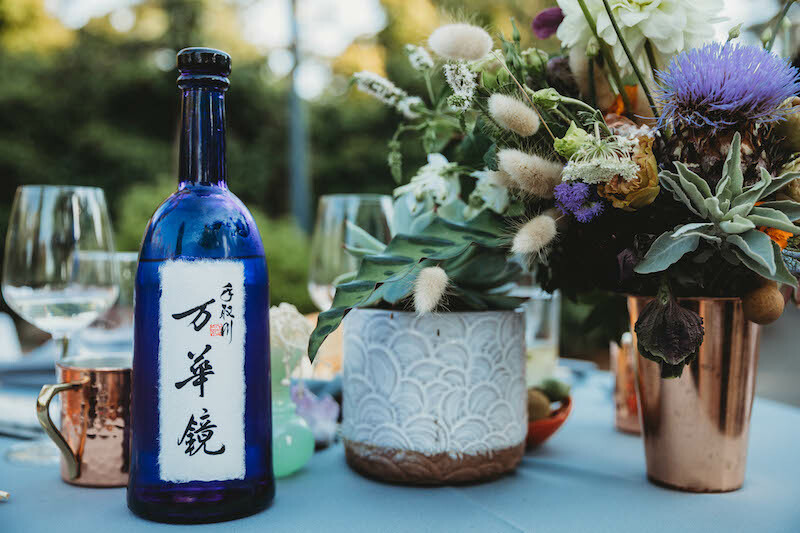 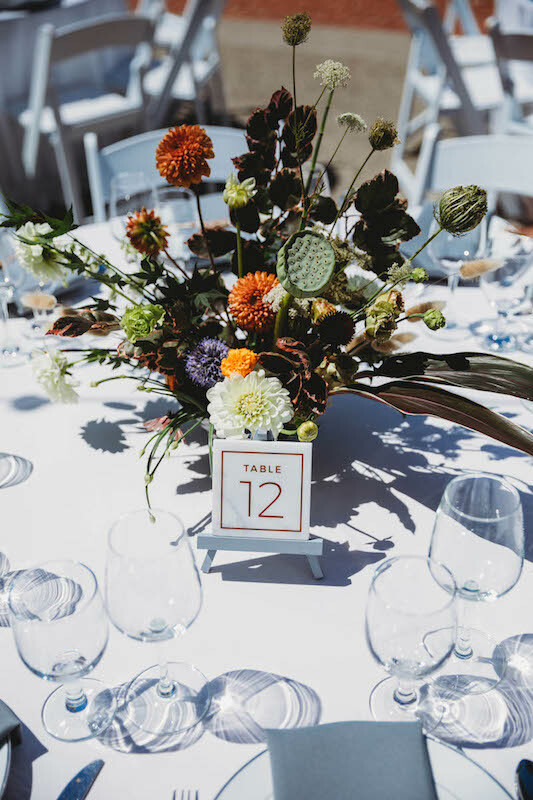 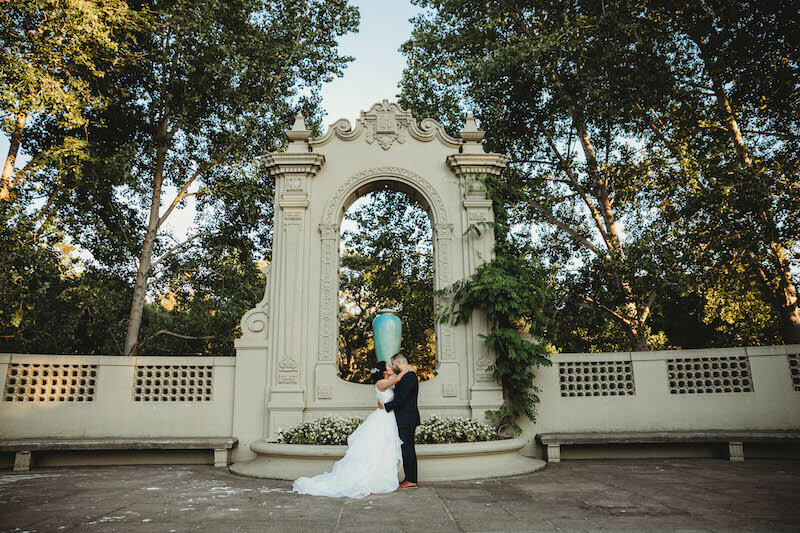 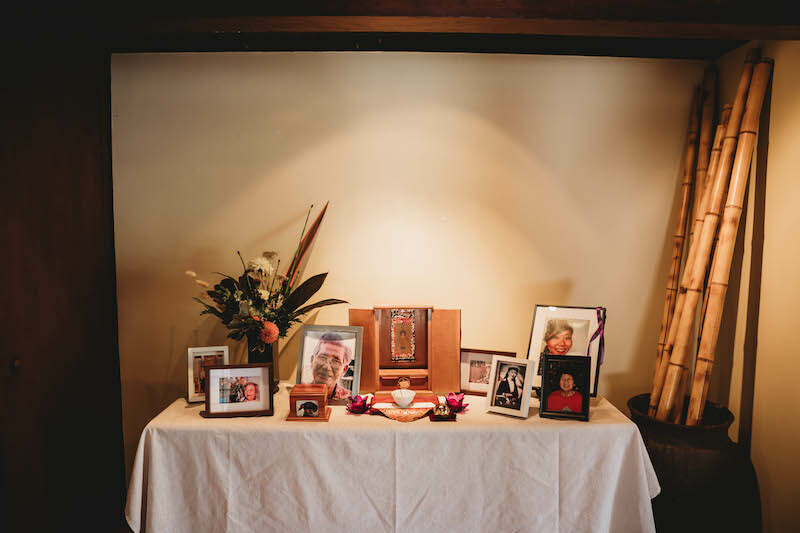 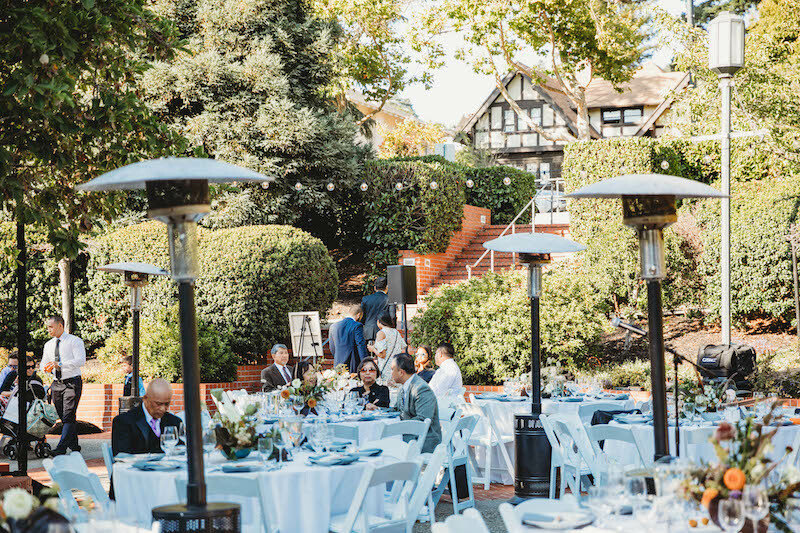 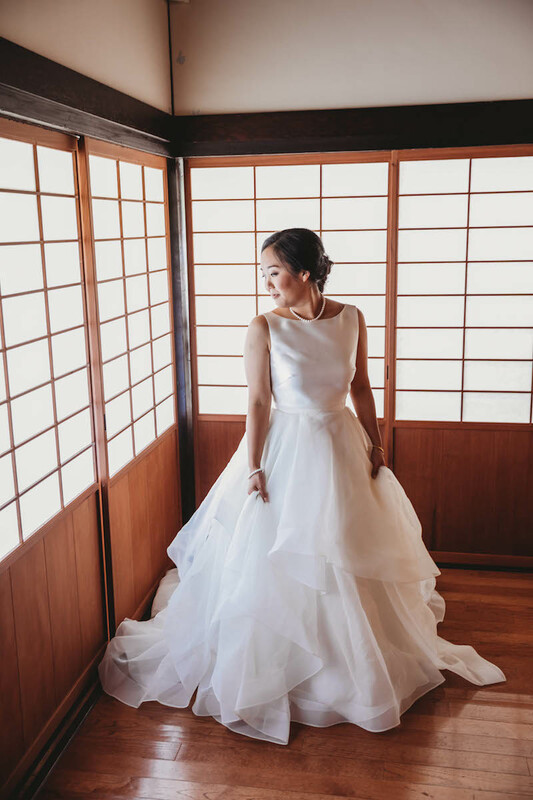 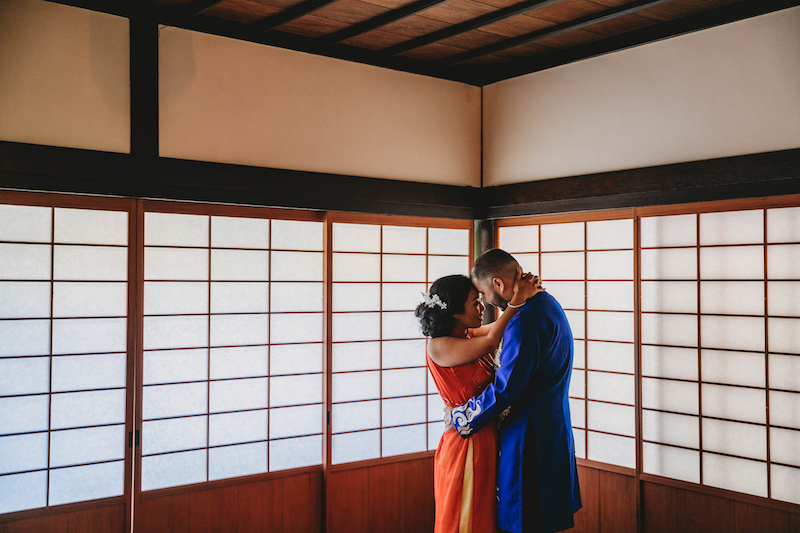 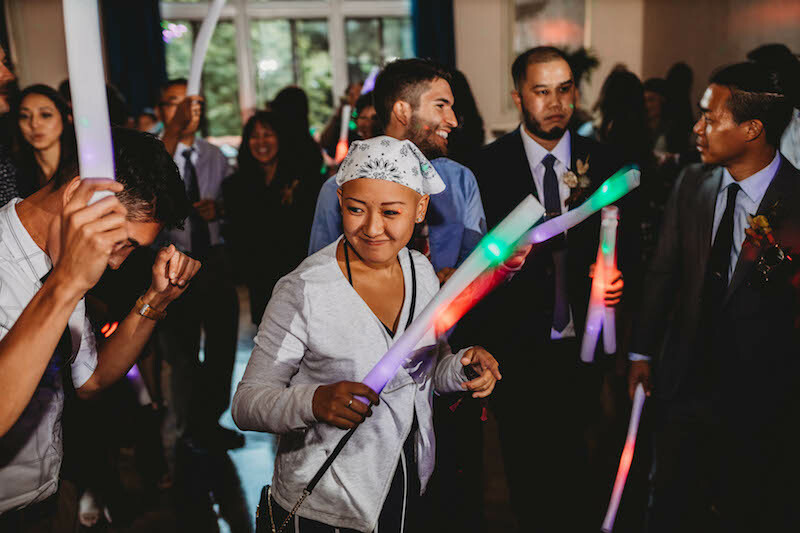 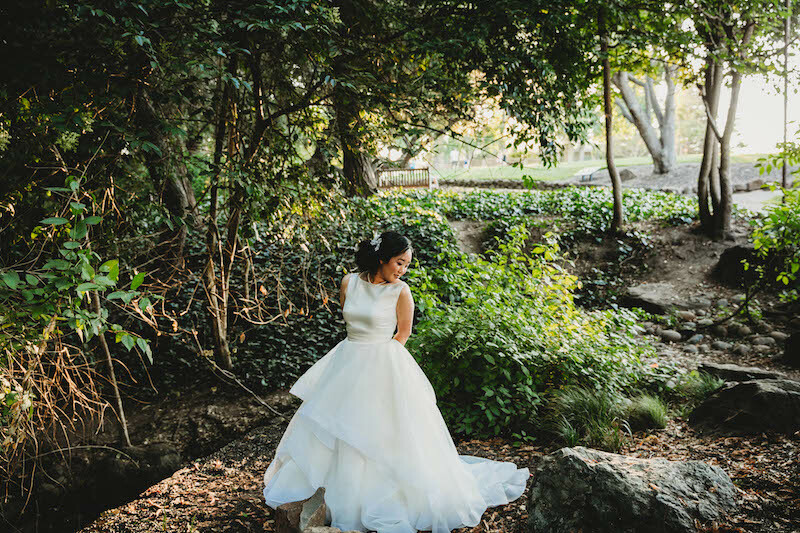 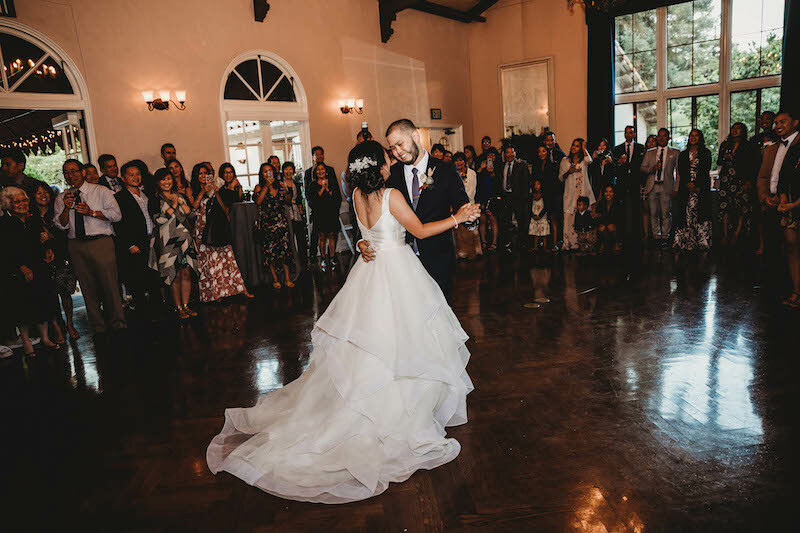 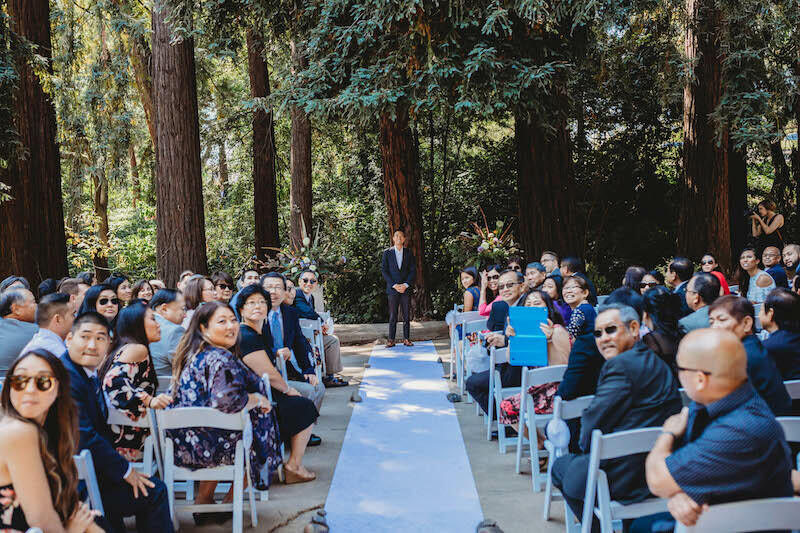 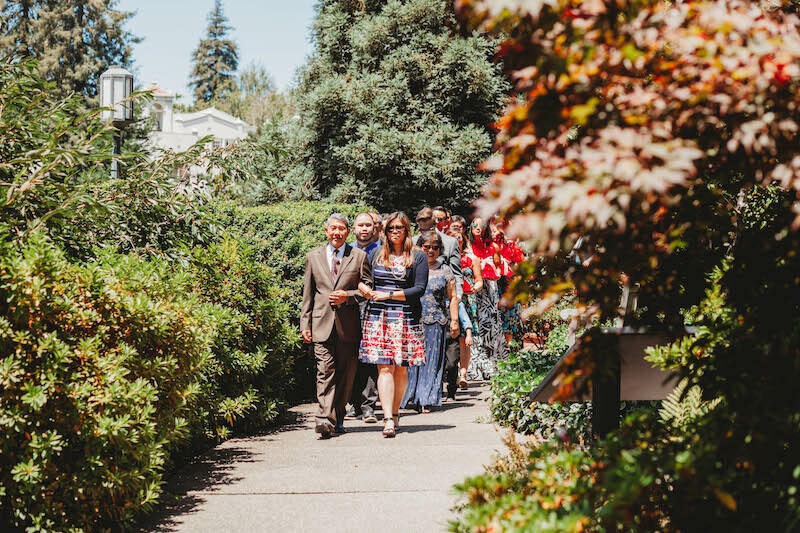 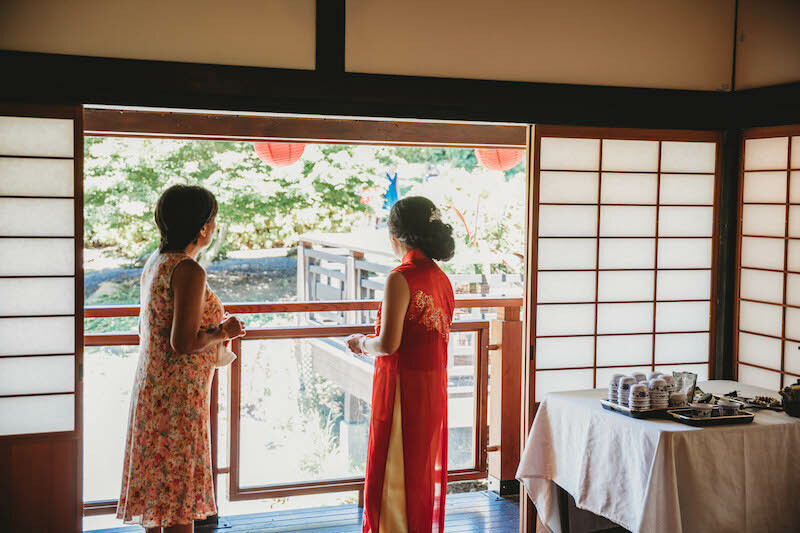 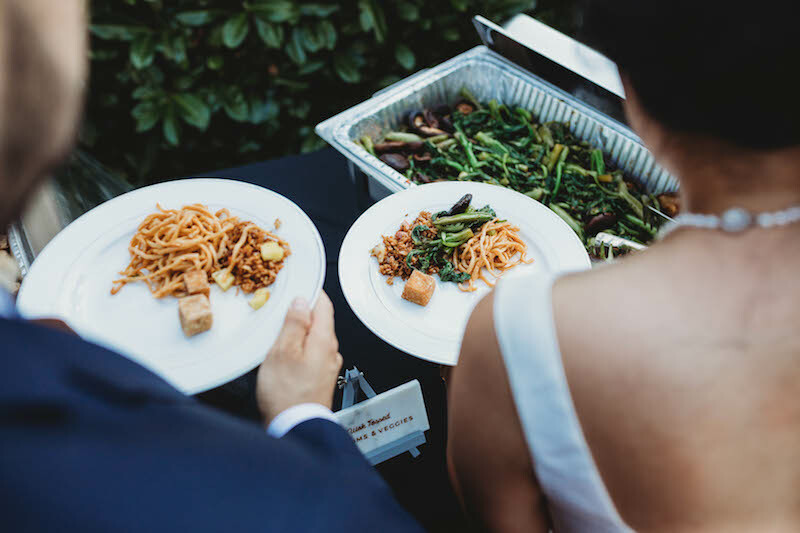 Piedmont Community Hall was the perfect venue for this intimate vision, with their onsite Japanese Tea House, outdoor patio, and ceremony space under the Berkeley trees. 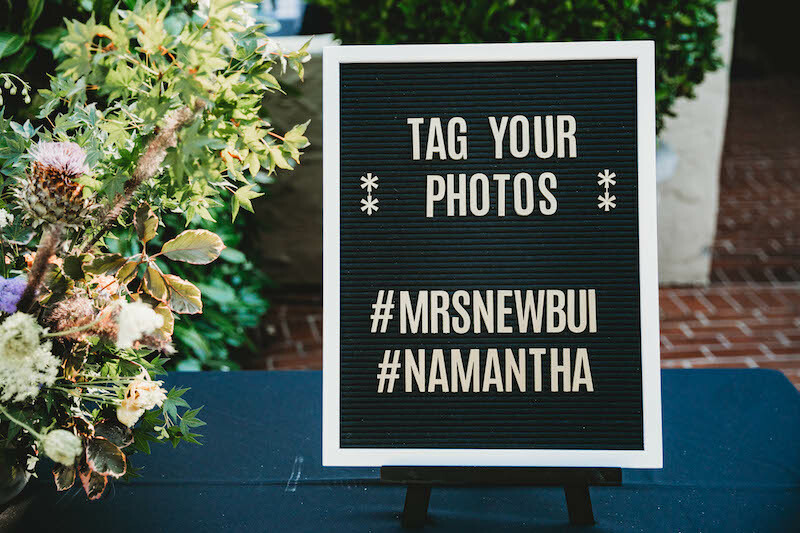 Nam was a designer, so of course had amazing vision for signs and custom decor already. 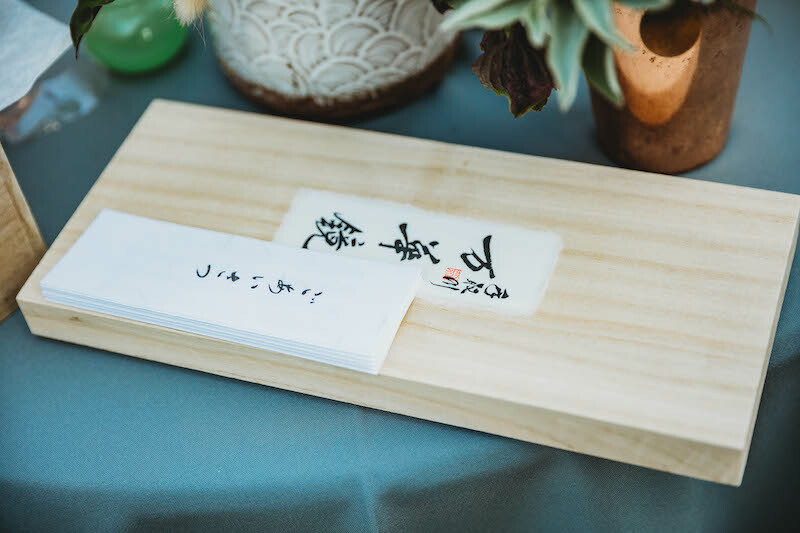 He and Sam both designed all the signage at the wedding and fabricated custom chopstick holders for each guest! 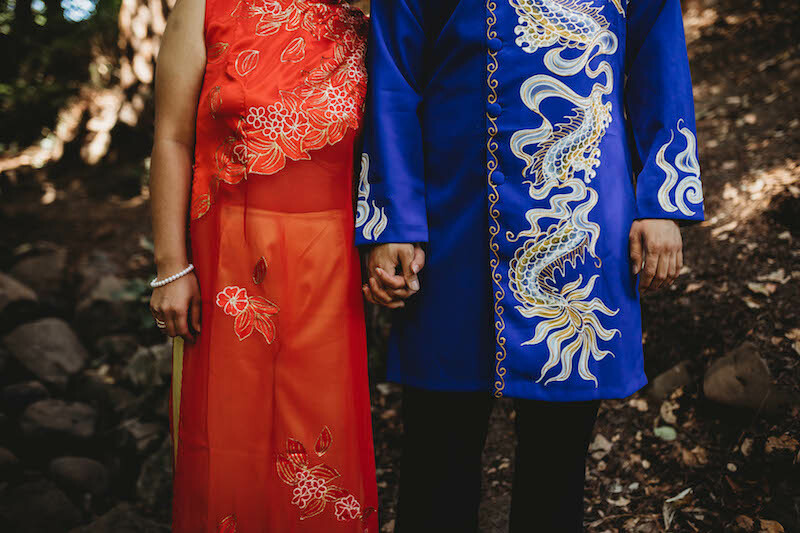 They were beautiful, delicate, and unique. 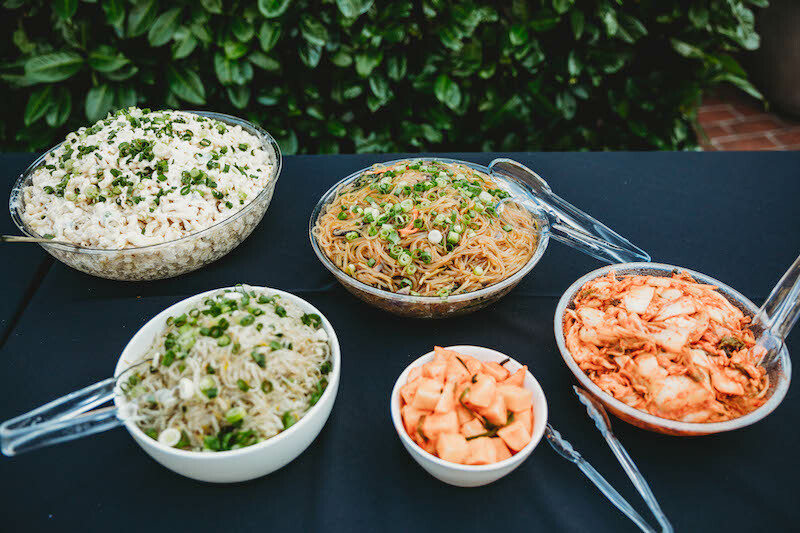 We opted for a buffet dinner, catered by one of my favorite Bay Area chefs and good friend, Tim Luym (he’s one of the only chefs I trust to do GOOD asian food for wedding clients). 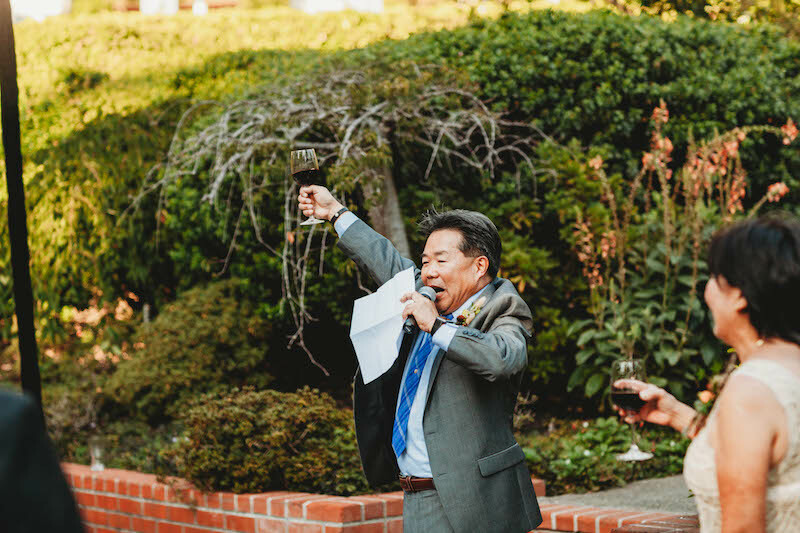 Needless to say, guests got their bellies full of korean shortribs, kimchee, long life noodles, and shrimp that day. 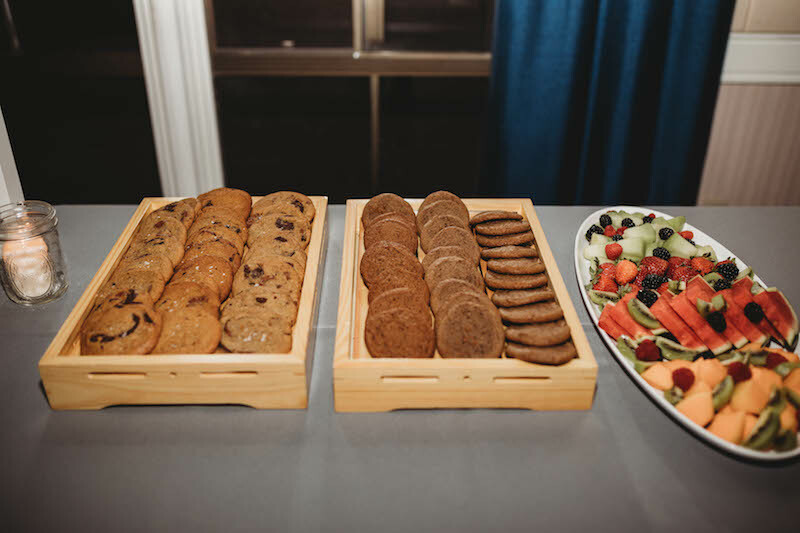 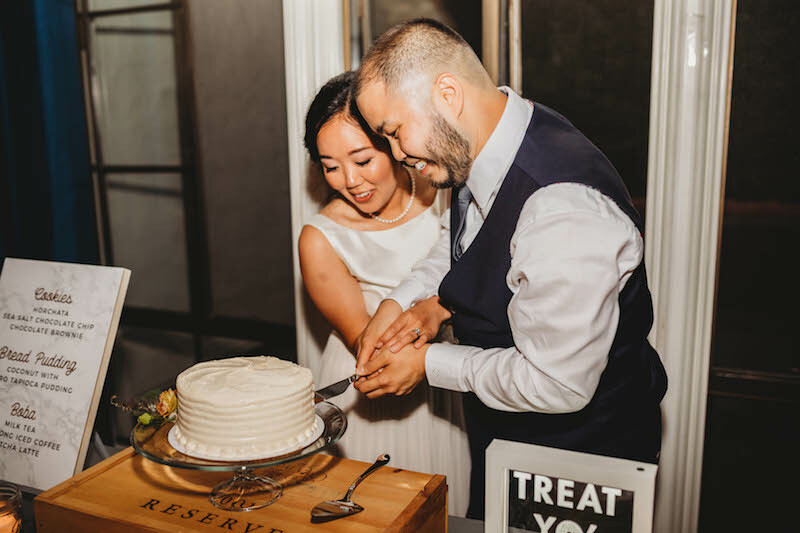 At the end of the night, we opened a dessert buffet complete with ube bread pudding bites, BOBA, and more. 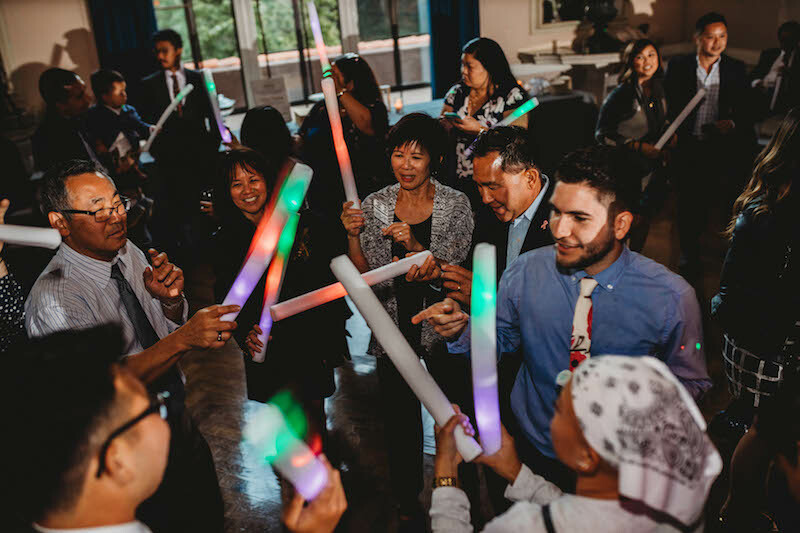 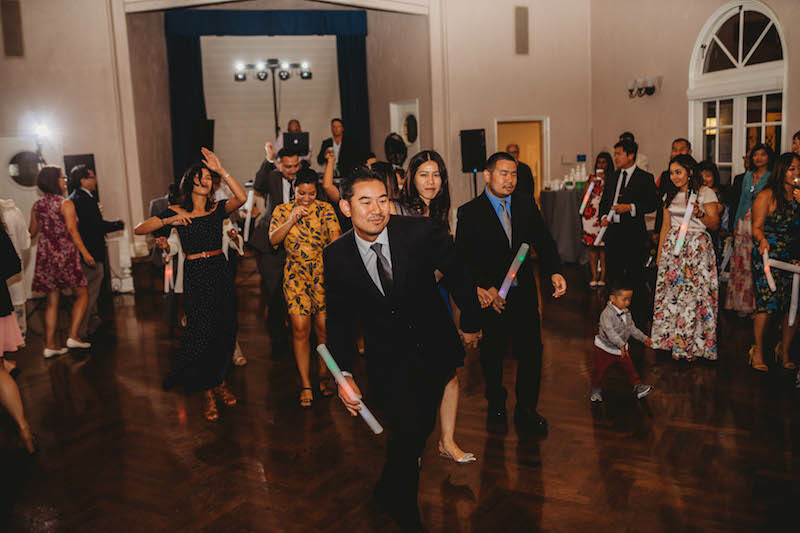 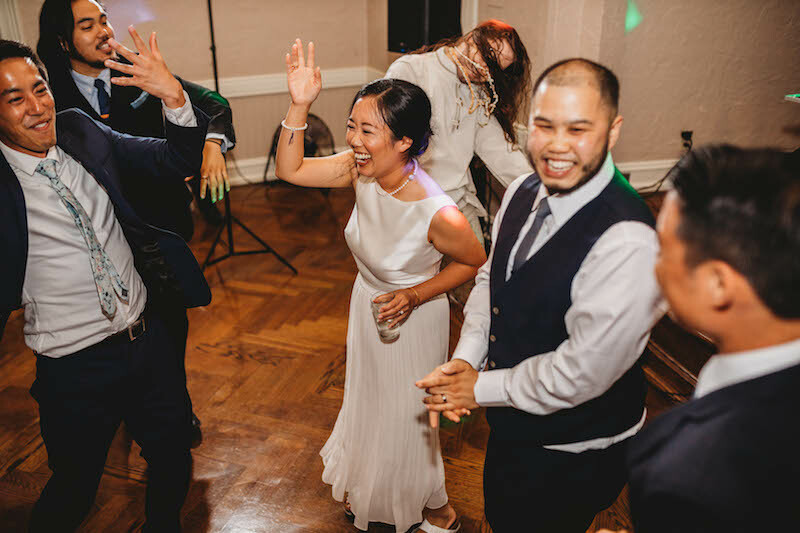 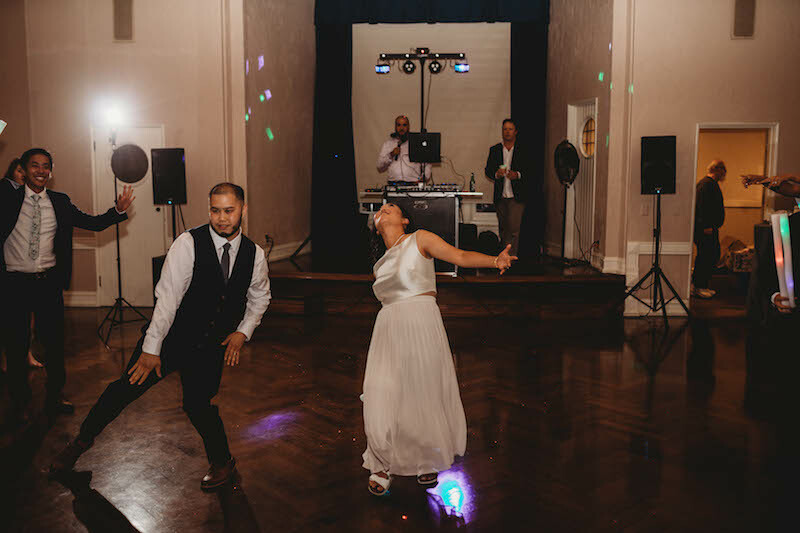 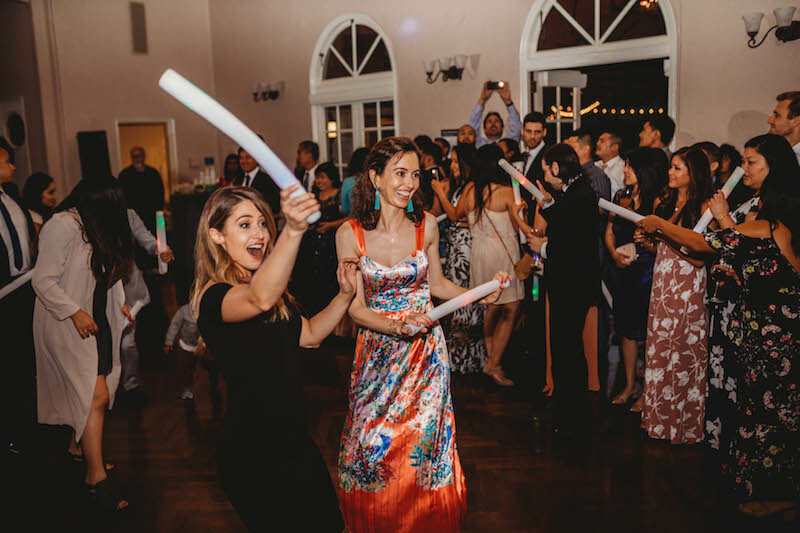 My favorite part of the night was the SOUL TRAIN LINE Sam & Nam did across the dance floor to lead everyone to dessert and cake cutting! 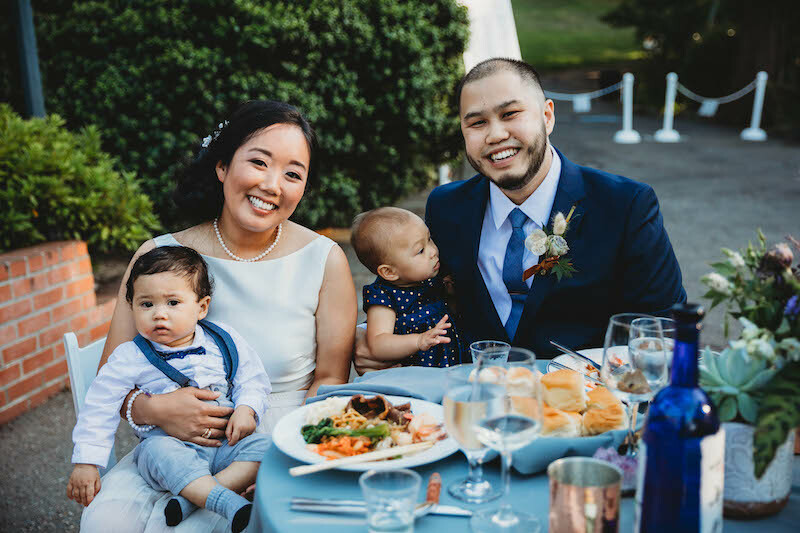 Nothing beats having an amazing couple, with truly beautiful souls, and that was exactly the kind of couple Sam & Nam are. 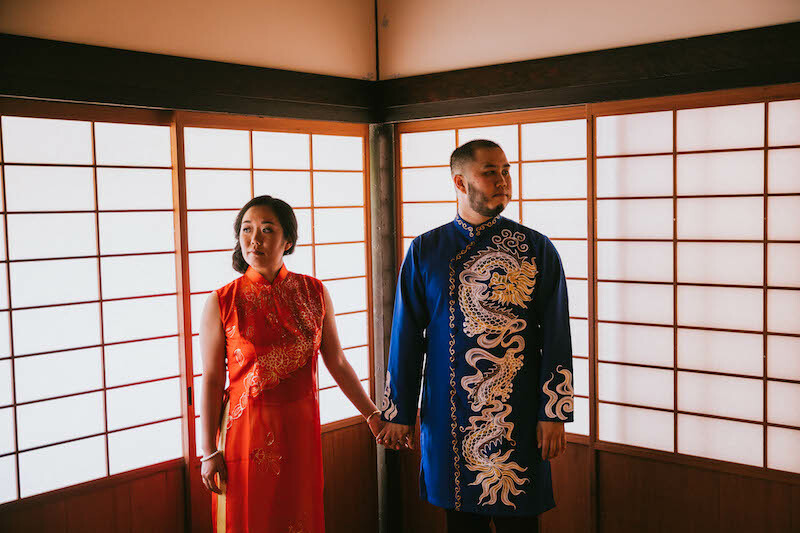 It was truly an honor to be a part of their wedding day. 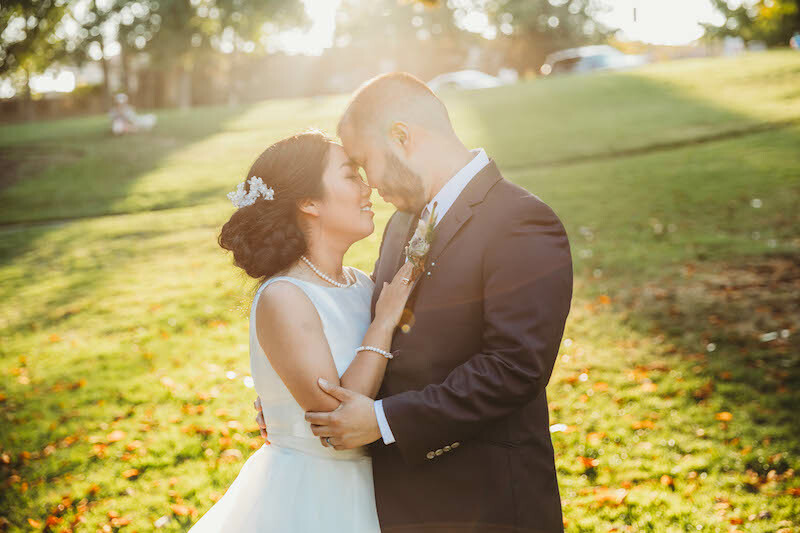 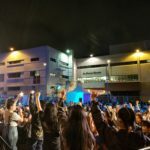 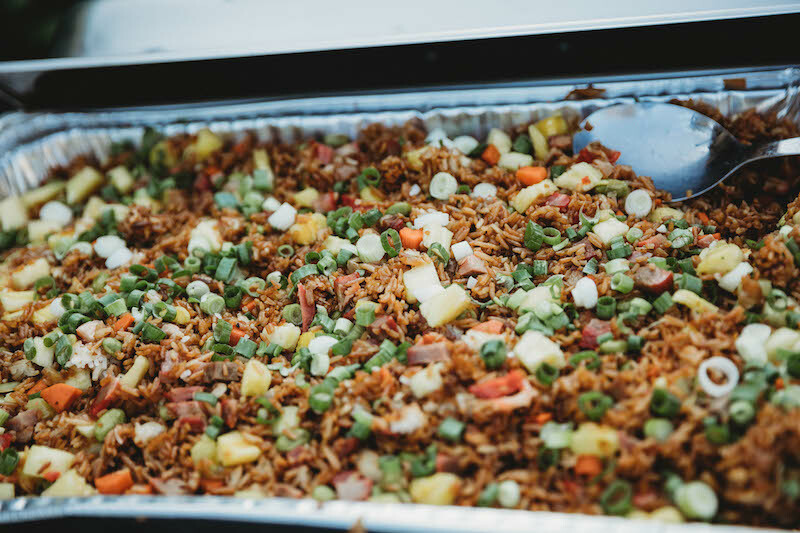 Thank you Whitney Justesen for the beautiful photos!